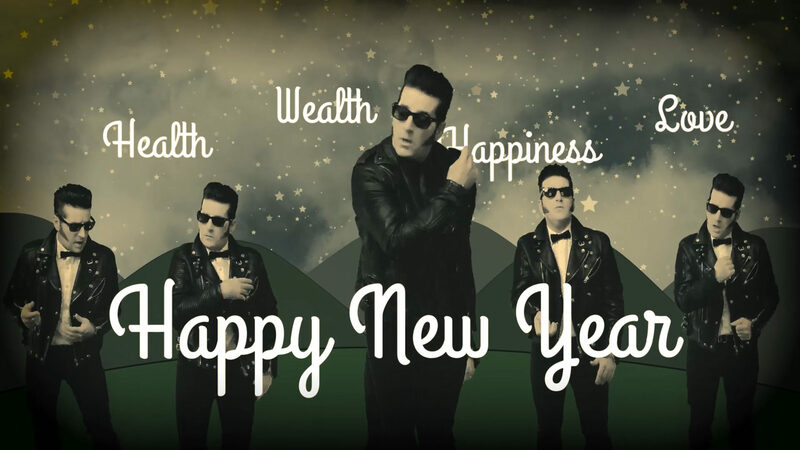 I worked all NEW YEAR’S EVE on this music and video. 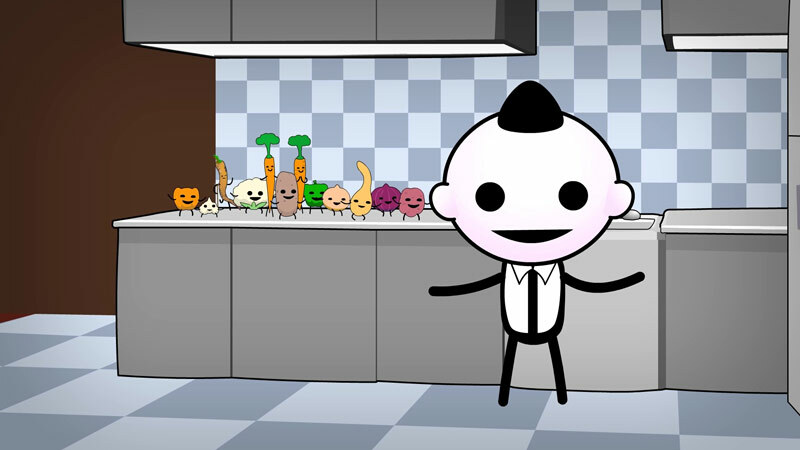 This is the fastest I have ever worked on a complete music video (including the song!) Does this mean I am getting faster? 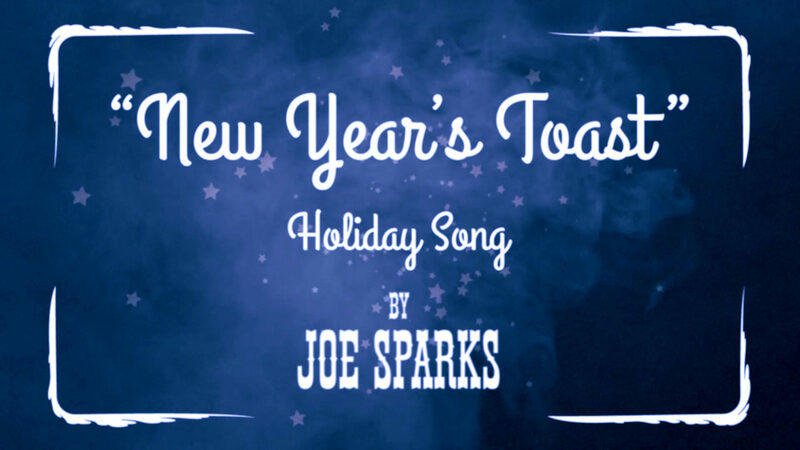 Wish your friends HAPPY NEW YEAR with “New Year’s Toast,” a Retro Holiday Song by Joe Sparks. 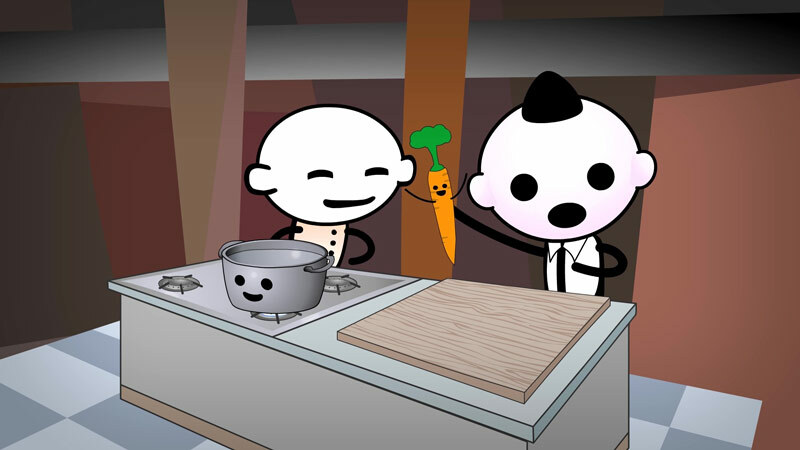 I think this animation is 90% ready, but I had to wrap it up to make New Year’s Day! 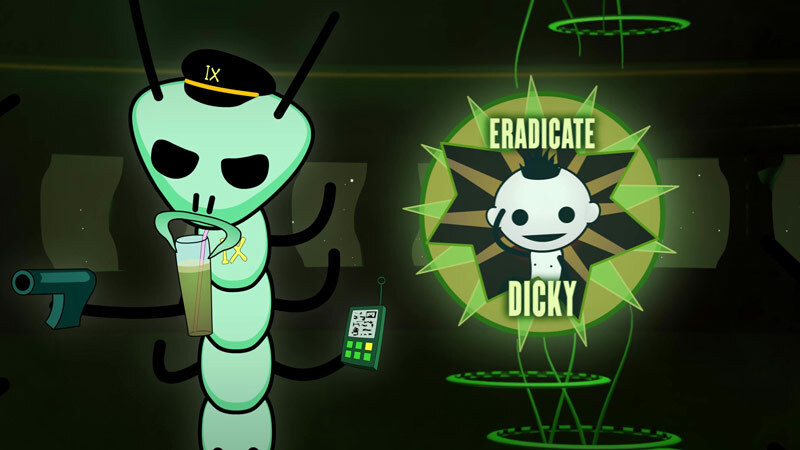 MEET Dicky, a psi-pilot for the US Space Command! 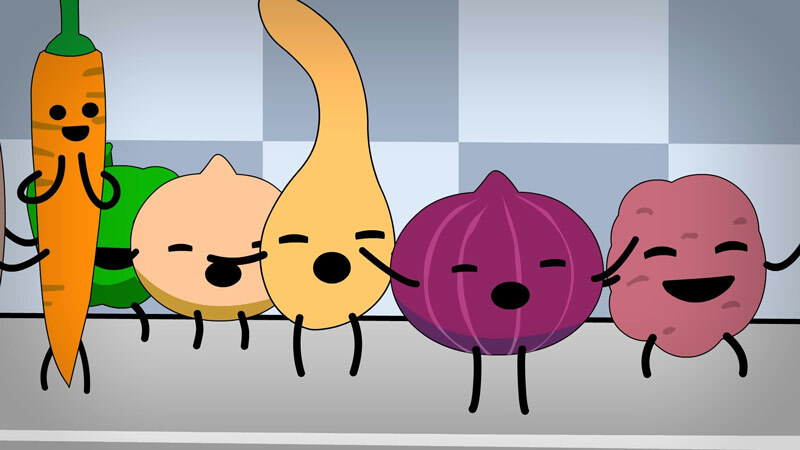 SEE veggies that WANT to be eaten! CRINGE at an over-eager Robot! 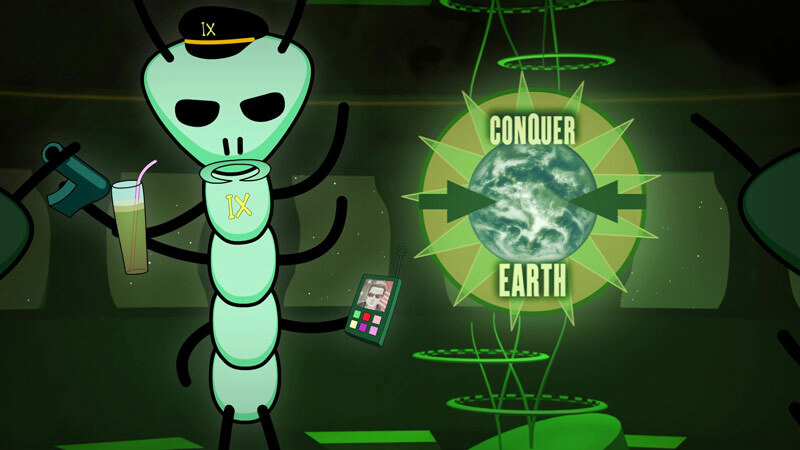 FEAR an alien plot to conquer Earth! 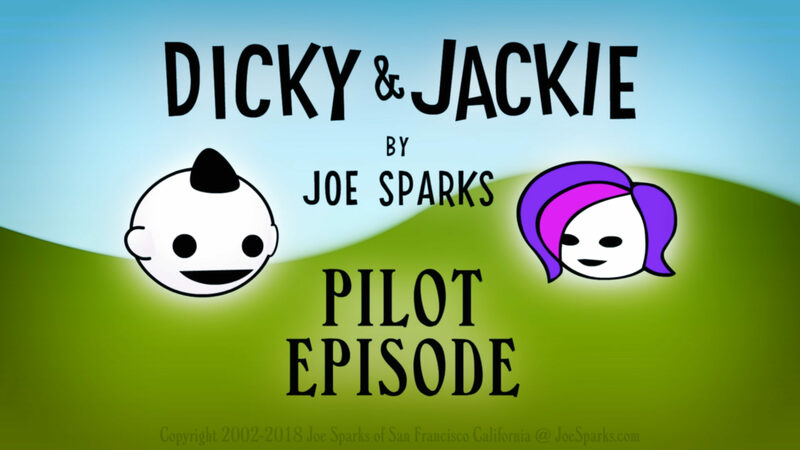 There’s a long long history behind this cartoon I covered in “The Making of Dicky & Jackie”) I made a very rough flash version of this in 2002 and 2004 but I never published it. 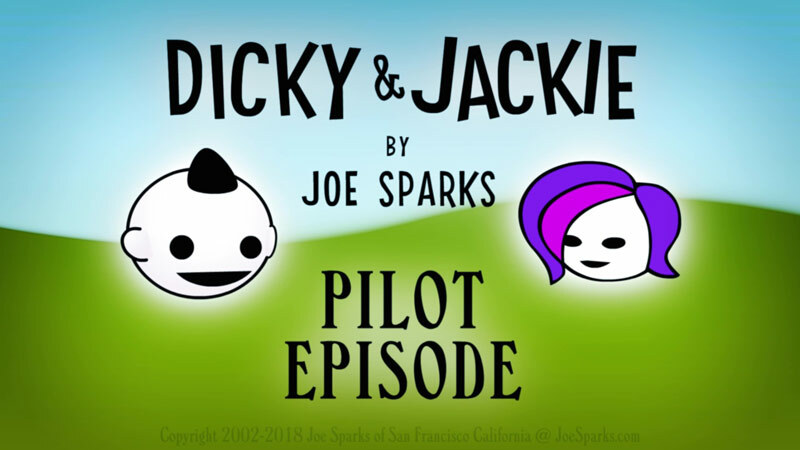 Thank you for viewing Dicky & Jackie. If you do enjoy it, I hope you will leave me a comment on YouTube. Recorded live at LeapFrog headquarters in Emeryville California. 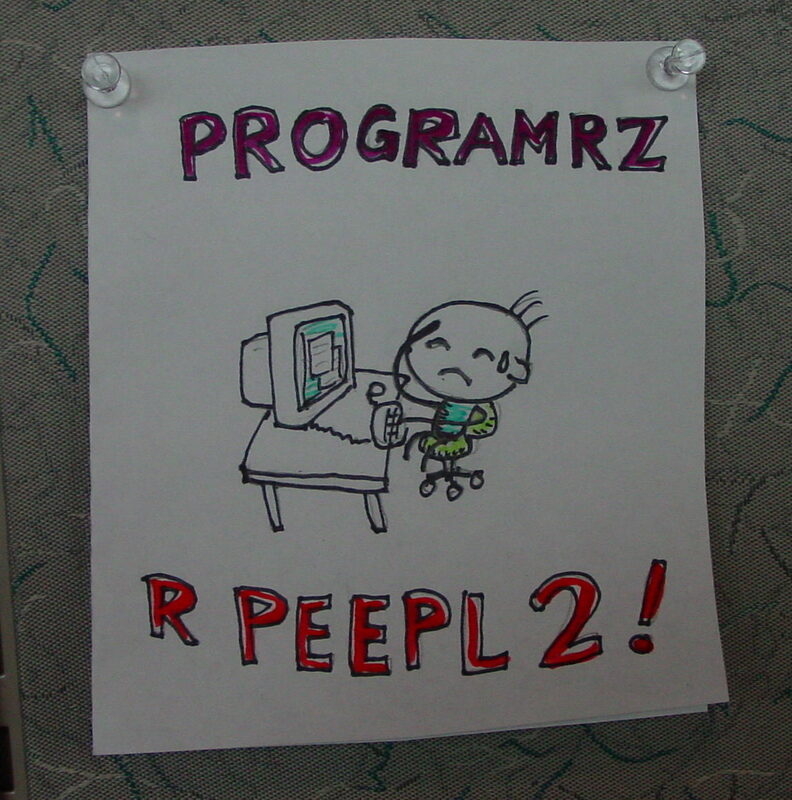 I was an game developer/designer there. I was enlisted (by rad-friendly fans) to perform at the LeapFrog Talent Show + Bring your Kids to Work Day. (!!!) Thank you so much for your likes, subscribes and comments! 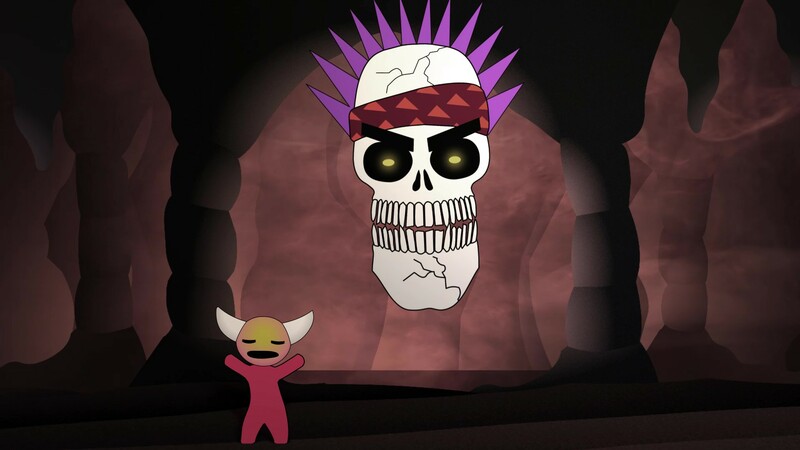 A Dramatic Reading of Selected Radiskull and Devil Doll Episodes! I wrapped up with some modern commentary and remastered music. I hope you enjoy it! Read the comments: people seem into it! 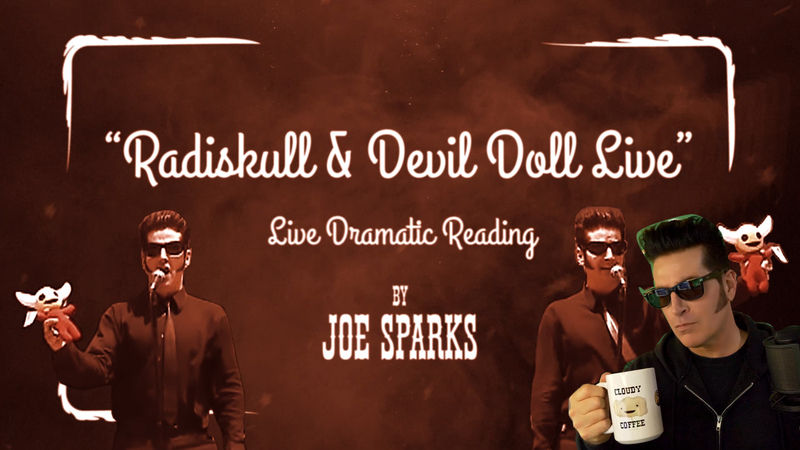 Joe Sparks performs Radiskull and Devil Doll live at LeapFrog. 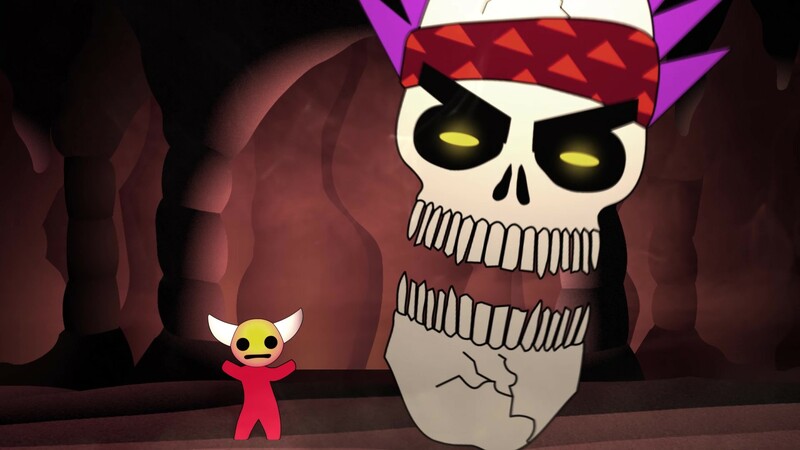 Where are you, Millions of Radiskull & Devil Doll fans? 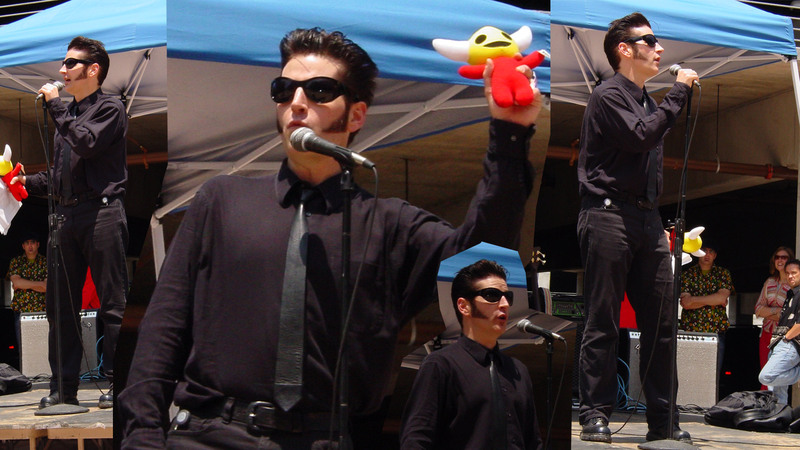 I’m searching for those millions of Radiskull & Devil Doll fans from 2001. 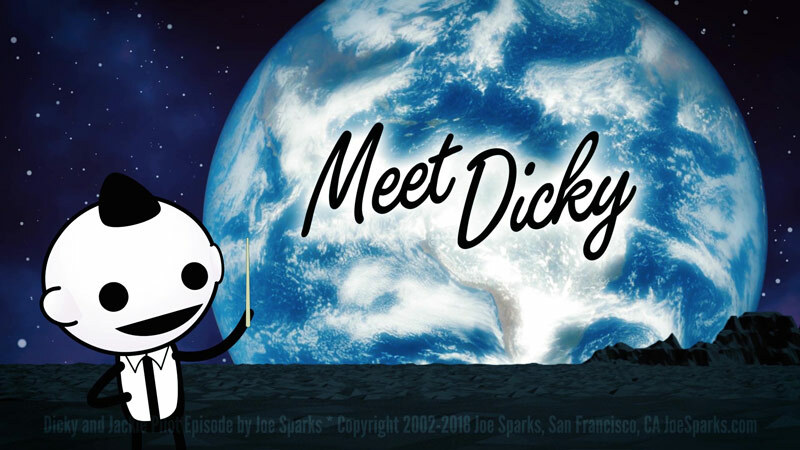 (I used to get more than a million unique visitors a month, years before YouTube existed!) If you know some, please let them know that I am BACK AT IT? I really appreciate your help to bring that audience back. An audience will make it possible for me to finish R&DD episode 9 (BIG PLANS!!). 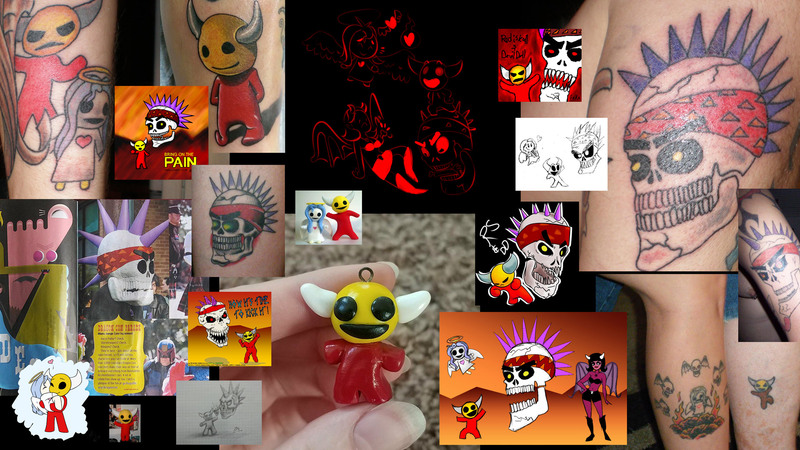 Tiny sample of the amazing Radiskull Devil Doll fan art and tattoos out there! Special Thanks to Gabriel Turk for giving me the CD-ROM with his edited version of my performance video. Otherwise, I would not be able to share this with you! 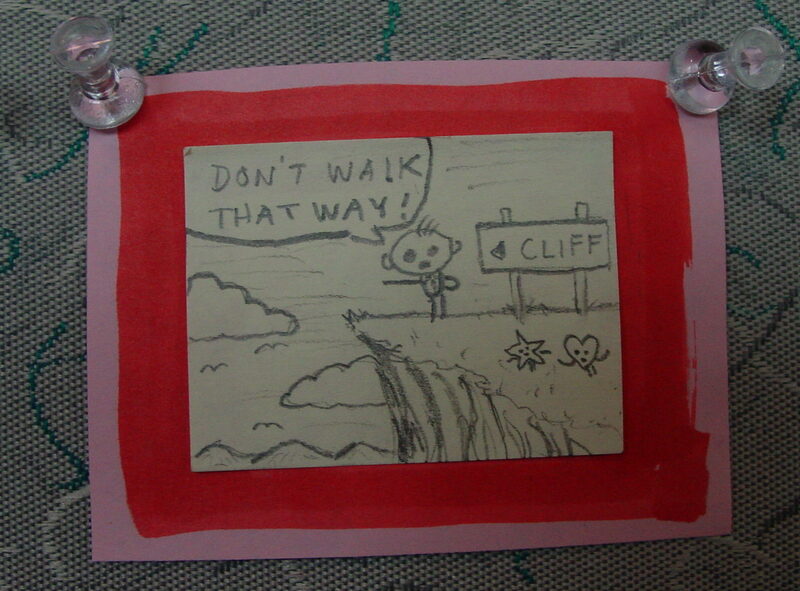 Just for fun, I’ve included some post-it note art I made at LeapFrog and posted in my cubicle, from back in those days. 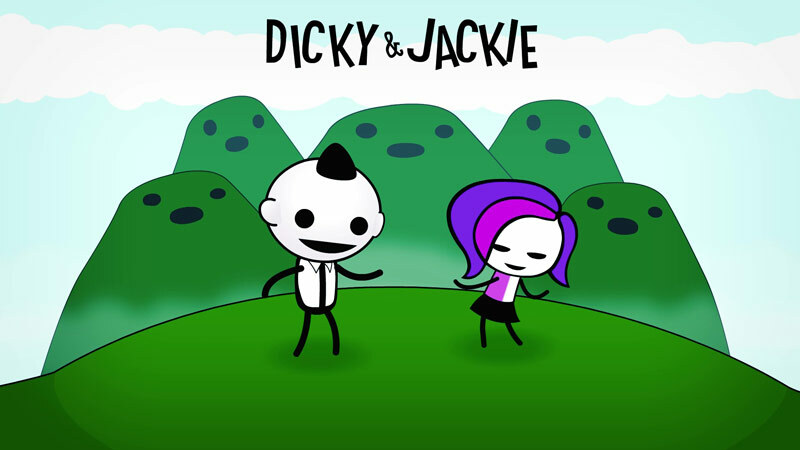 I was developing my “Dicky & Jackie” enhanced-stick-figure style back in that time zone shortly after shockwave.com collapsed in the great crash. 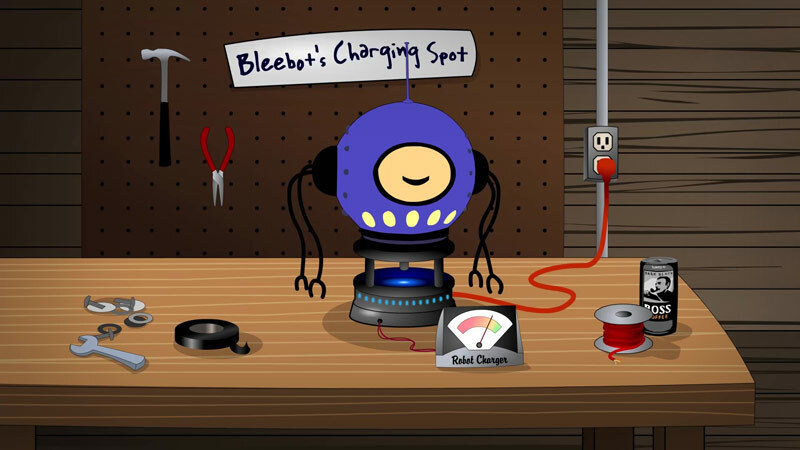 I will be adding many more tools to that page soon, to accompany my studio tour video. Thank you so much for your likes, subscribes and comments! I worked on games that shipped with LeapFrog’s first Leapster device (like a game boy). 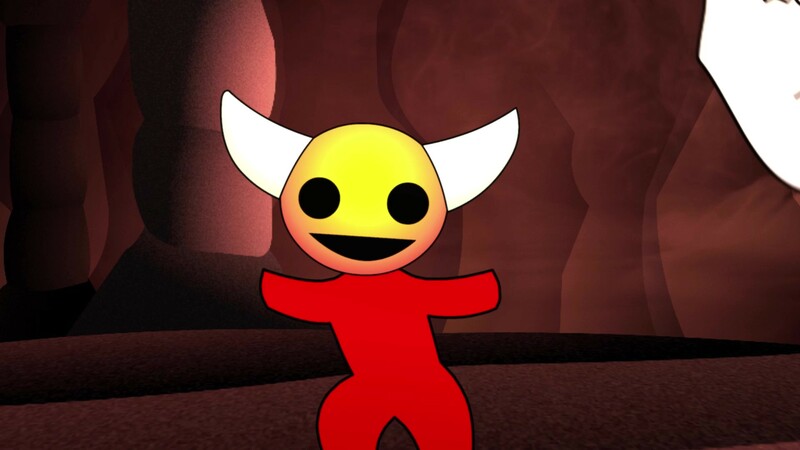 I made the dancing robot game. I pushed really hard to create new characters for LeapFrog, but they explained it was much safer to invest in their Disney Licenses. 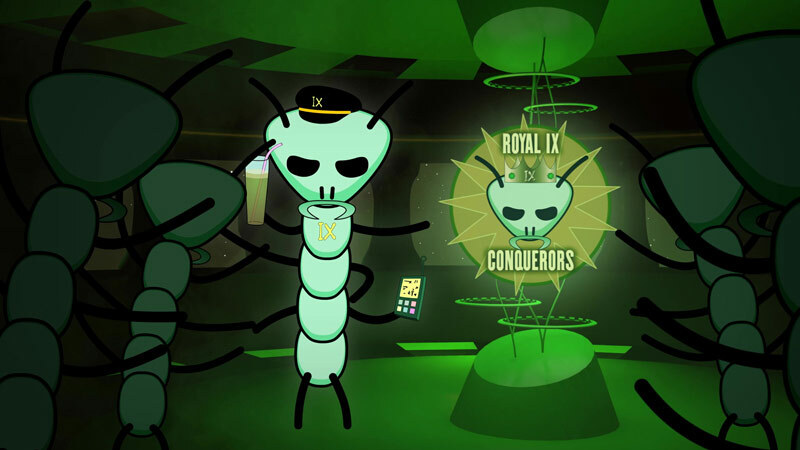 What could have been? I used to do this R&DD act at poetry slams, it always worked live! I killed! 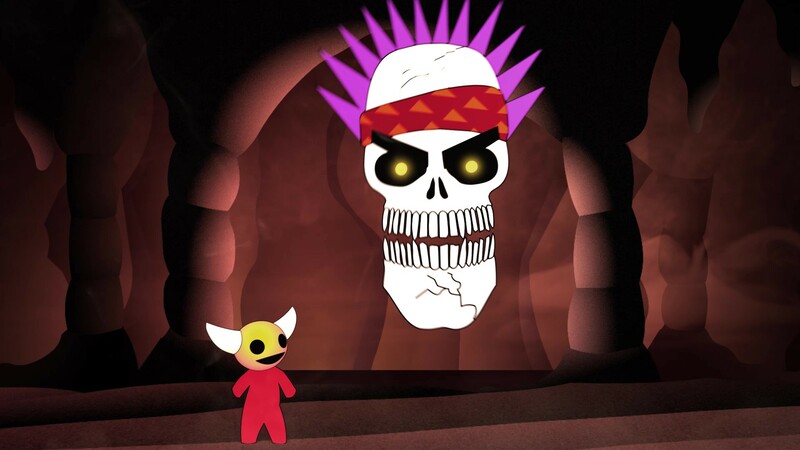 Radiskull & Devil Doll are together again for the FIRST TIME in 17 YEARS! 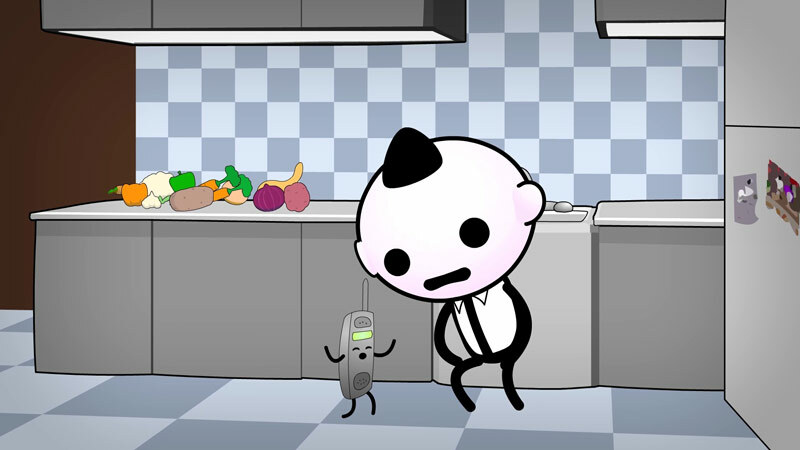 I’m proud to announce my latest all-original, all-independent, animated music video! 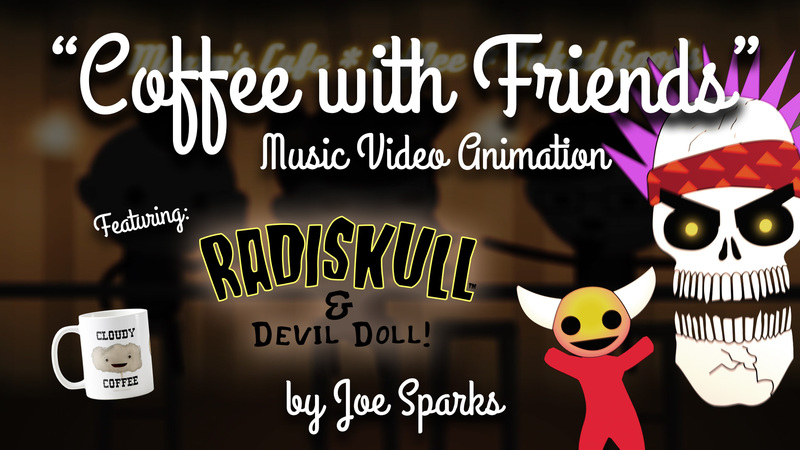 Radiskull and Devil Doll make a hard-rockin’ cameo in the middle of Coffee with Friends. 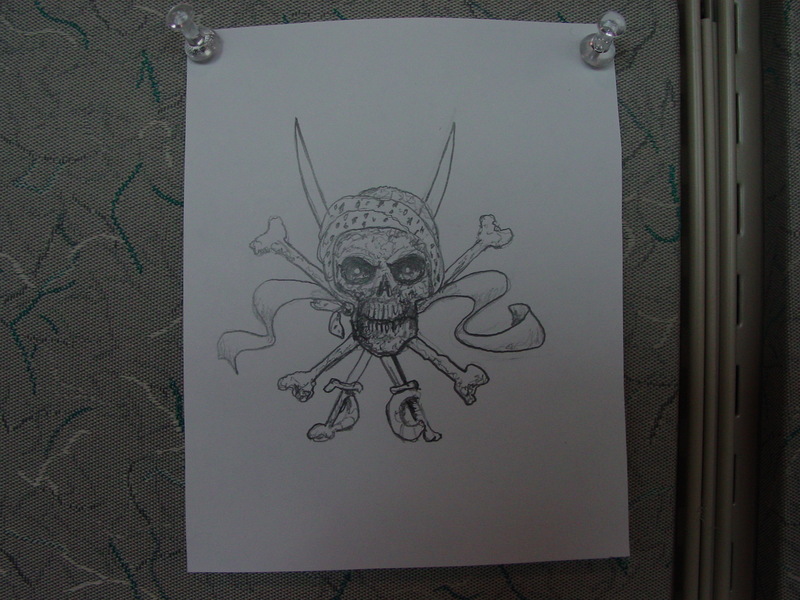 When I started Radiskull and Devil Doll, everyone was on dial-up modems! I had to be very careful to compress everything, keep window sizes small, frames rates way down, limit the quality of audio and everything else. Today in our Sci-Fi reality, high-definition audio and video flow through the world like a raging river! Now I can really let loose with fog, smoke, lights, shadows, camera work and more. And best of all, the audio is pristine. I hope you view on a nice big monitor, and listen on good speakers! For most of my life, I’ve been told coffee was bad for me. I never believed it. Not for a minute! 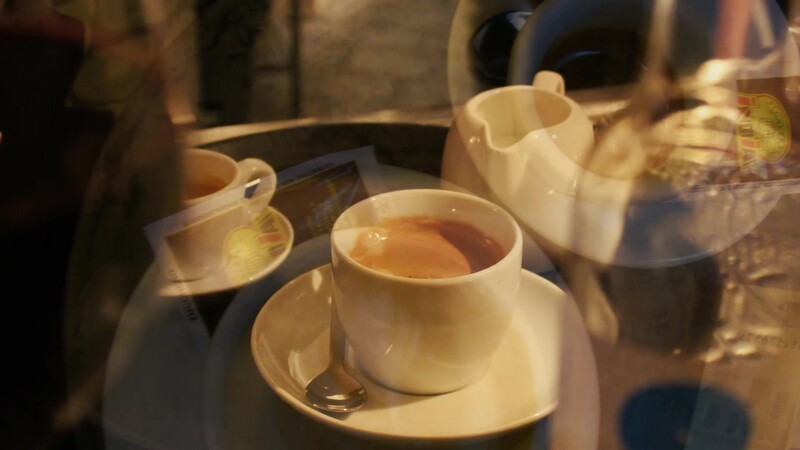 Turns out I was right, and we now know coffee is one of the healthiest things you can drink. It is rich in antioxidants. It is delicious. It makes friends more friendly. 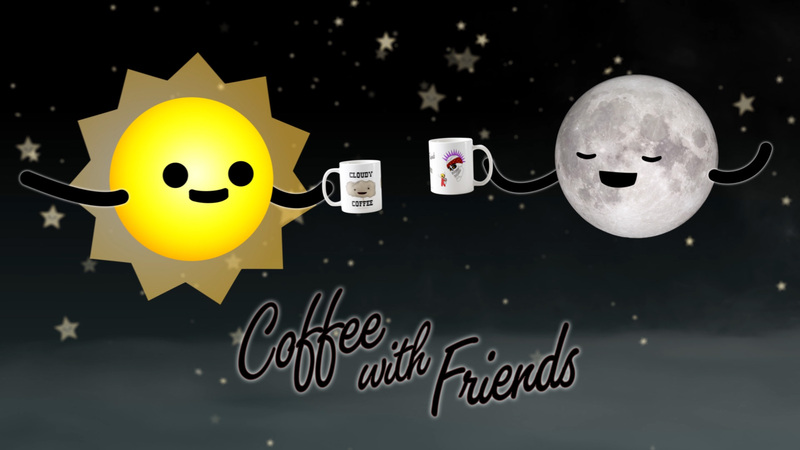 You should have some coffee with friends every day! 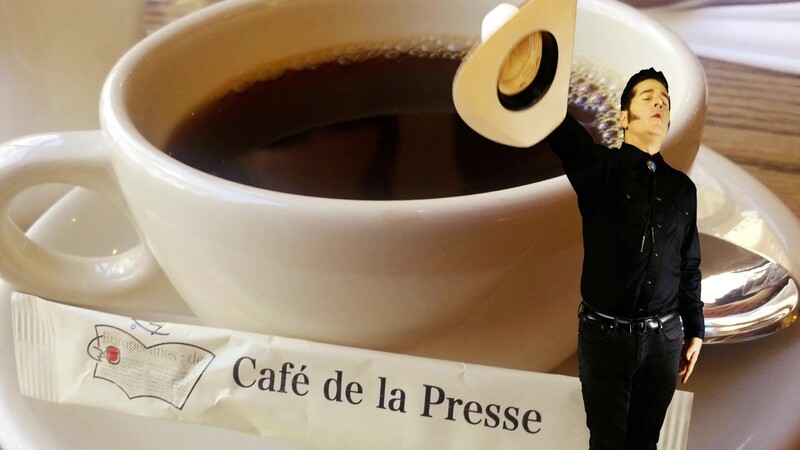 I started drinking coffee when I was 4 years old. My next-door neighbor made it for me, and we would sit on her front lawn in lawn chairs and sip coffee. I loved it. 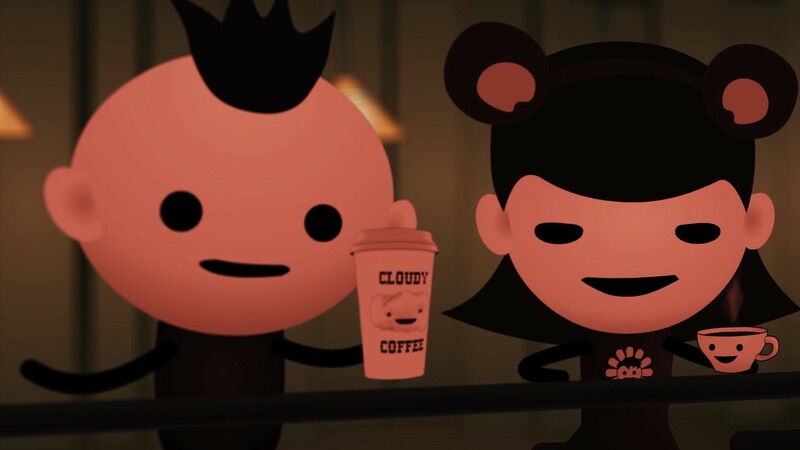 I also loved coffee candy and coffee ice cream as a kid. 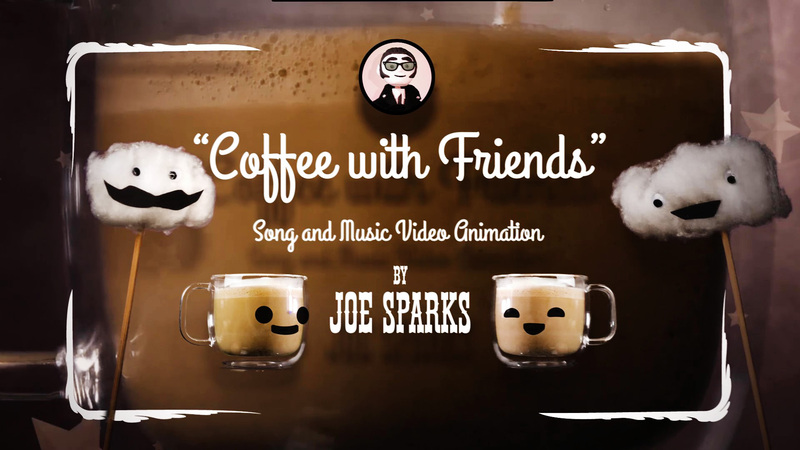 After the music video plays I engage in a little bit of story-telling and horseplay: Some parts I create with Adobe Animate CC (formally known as Flash). 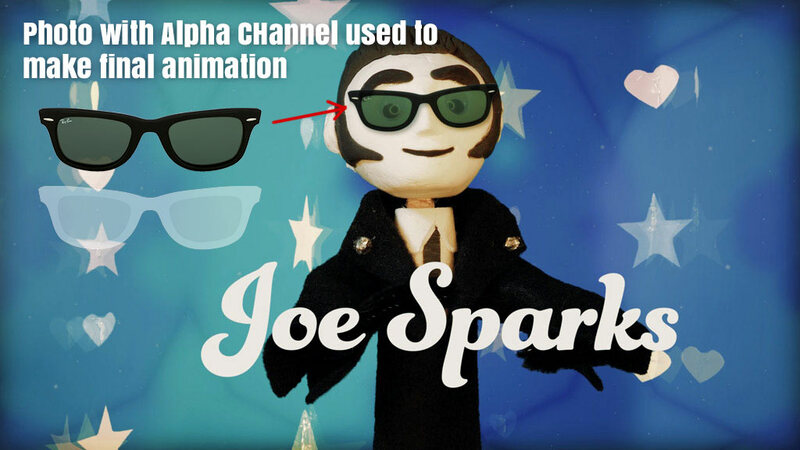 I export layers of high-resolution vector animation as alpha-channel video, and bring it in into Adobe After Effects. 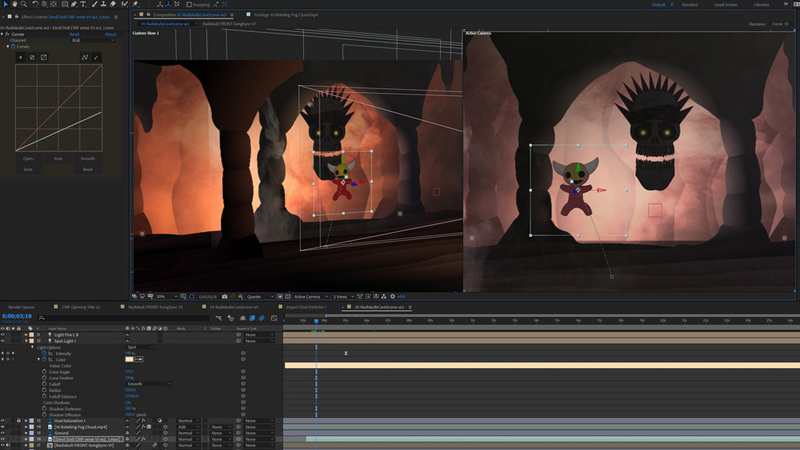 After Effects has a beautiful 3D camera system. 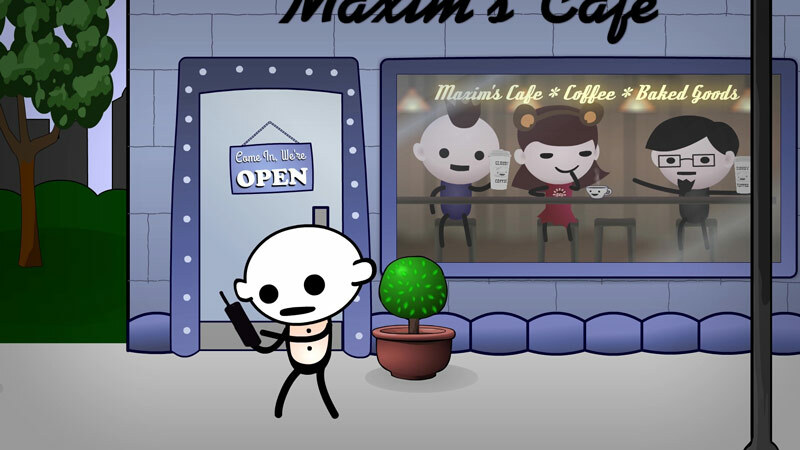 I’ve been animating the camera to the beat of the music and it brings the scenes to life in a unique way. 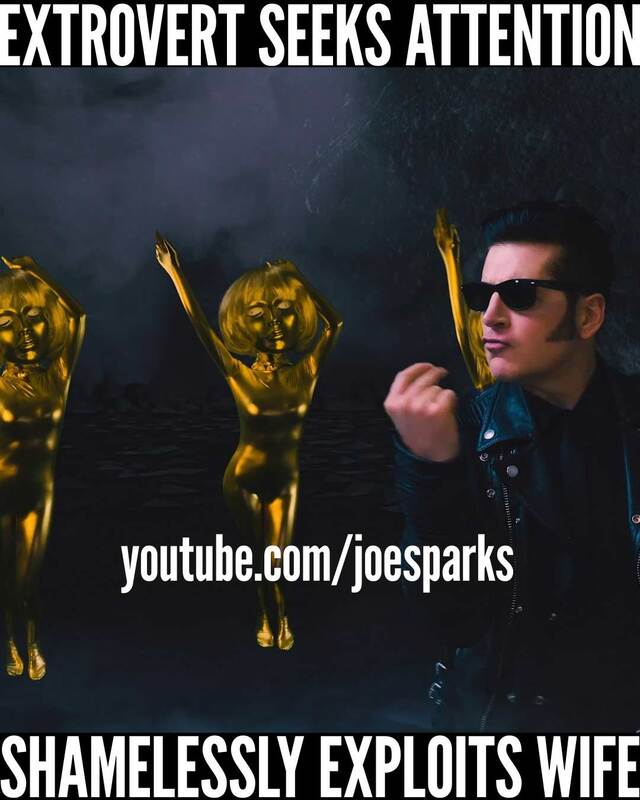 I hope you will subscribe to my YouTube channel and revisit JoeSparks.com. 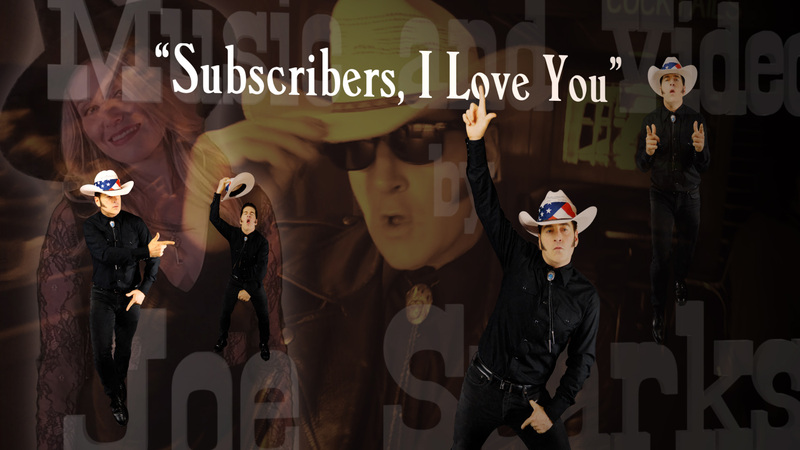 Thanks again for watching, sharing, subscribing, and leaving comments. Thank you for being here. With you in the audience I will be able make more music videos. I want to create musical art that stands the test of time. 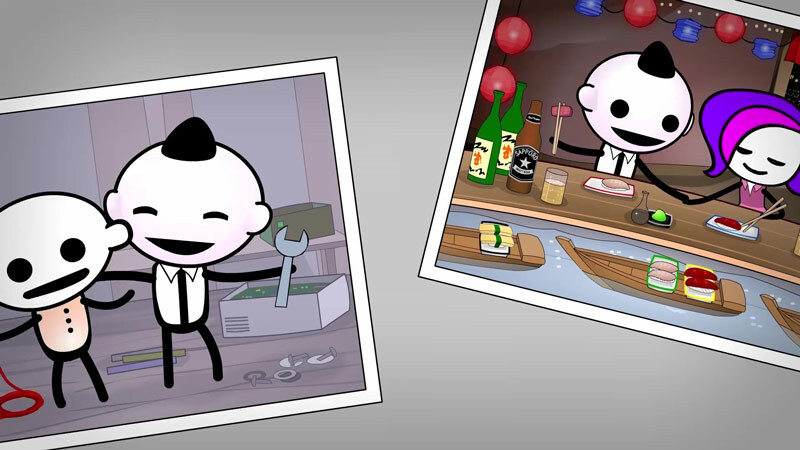 I explain the hows & whys behind my music video story “Too Much” using elaborate photo illustrations. Please enjoy! 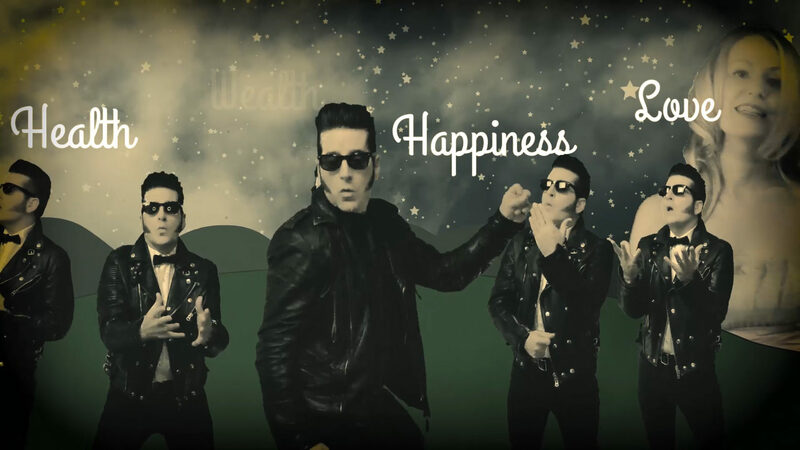 This music video story makes young people and old people smile at similar high intensities. For the first time in more than 10 years, I was going out on my own as a indy creative publisher. “You’re brave,” said fellow Googlers. “You’re insane,” said their faces (eyes a fraction too wide, smiles tightened). 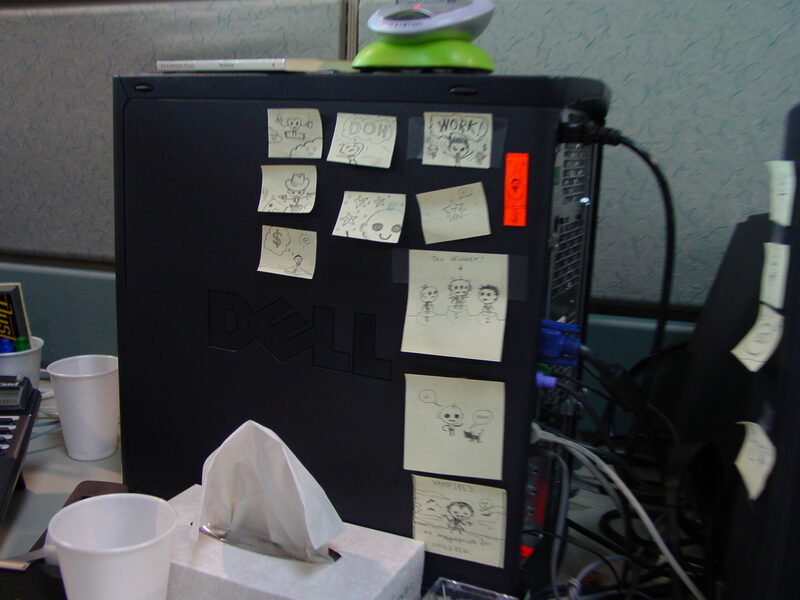 I’d been cranking out ads on daily deadlines for over 10 years, ~80 hours a week, with very few vacations. 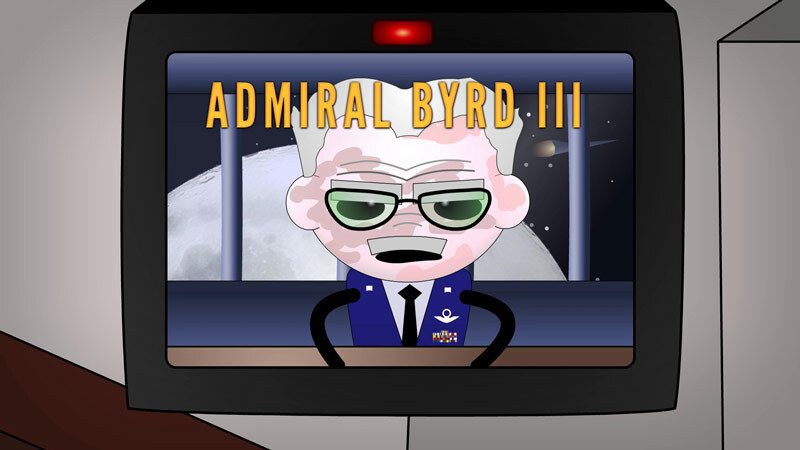 Aside from meetings, my work was on computer only, and split between software engineering and animation. 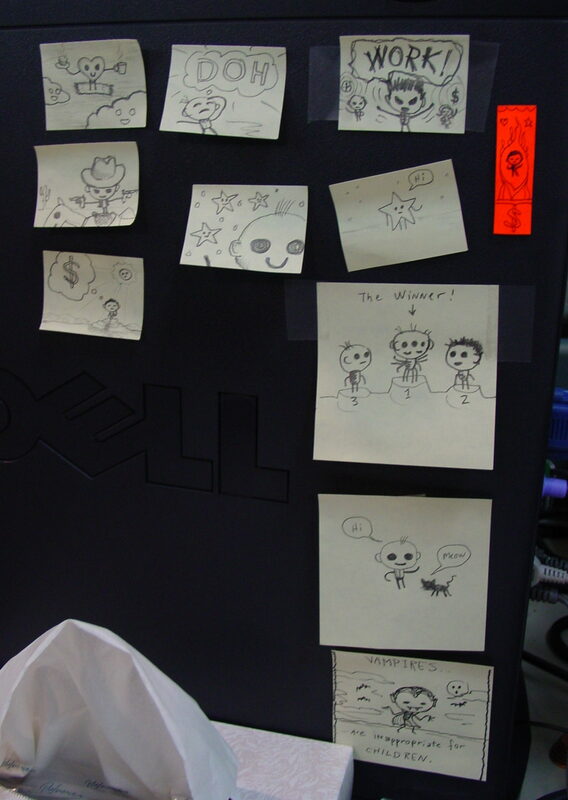 I was a creative at Google, but I was not doing the things I’m chiefly known for (games, cartoons, animation, and music). 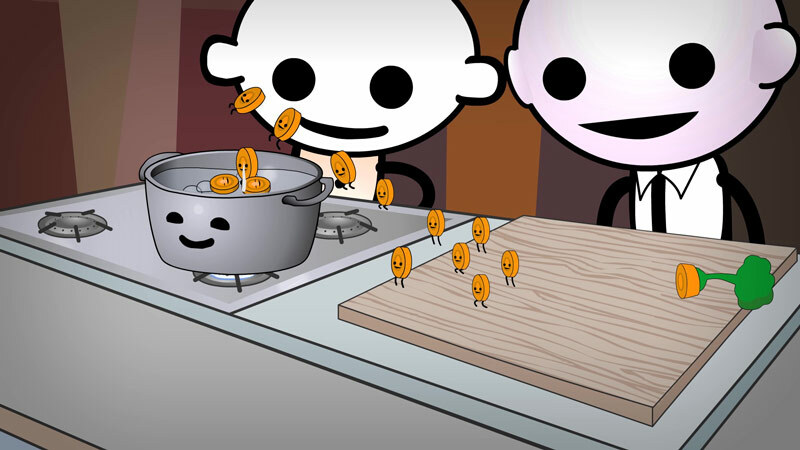 Instead, I would massage the creative assets of outside agencies into compliant interactive ads and YouTube video ads. I started and managed a creative team inside Google to do this at scale. The work takes skill and patience, pays well, but it uses a narrow focus of rapid creative execution. I’m not dissing the work —this was real work, valuable work and challenging as a designer and a software engineer. A great way to earn a living in between masterpieces! 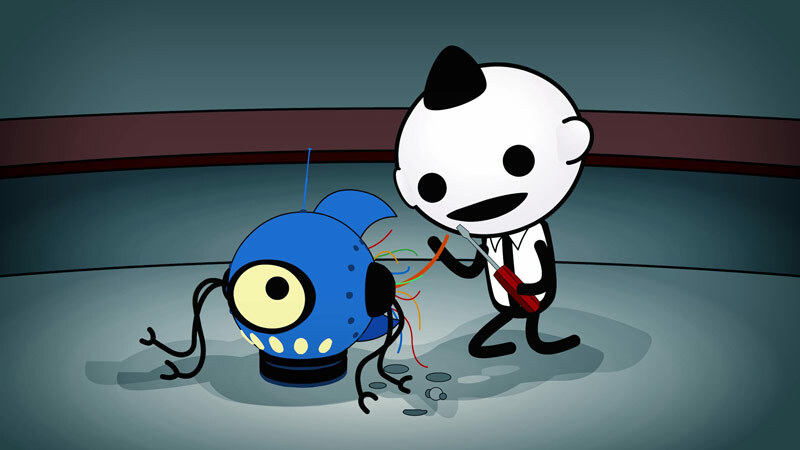 But I wasn’t making beloved cartoons or cult classics, shall we say. I’d been doing this kind work for more than TEN YEARS. 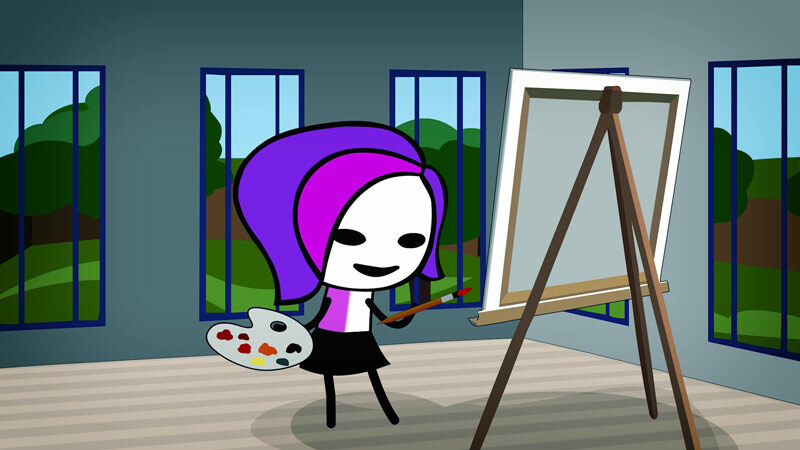 How was I going to resurrect that unique weird artist side, locked away for so long? Could I break out of my corporate mentality, wake up my creativity, and shake off a decade of the nerdy side of advertising? Probably not, but I would try. I decided to do some non-digital arts and crafts. I’ve read that working with natural materials (that you can hold in your hands), can activate a different part of our brain and bring to life some unused talents. I was also interested performing on camera (I am a former Theater and Music Major). I used to be in bands and music theater productions. 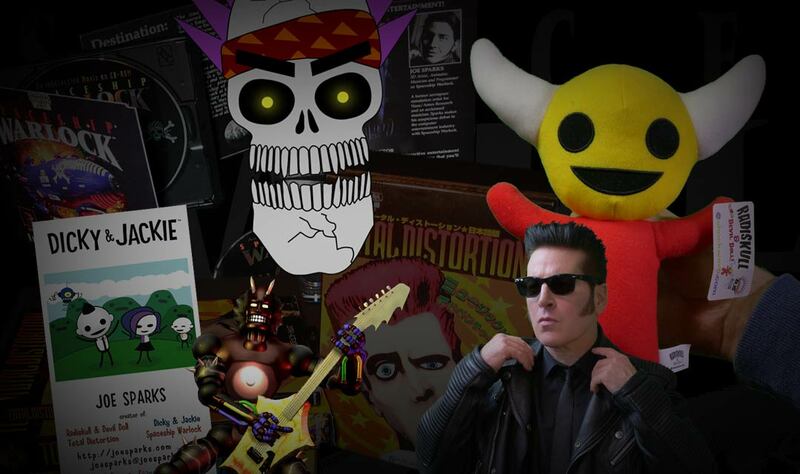 I’m also the primary voice actor on Total Distortion, Radiskull and Devil Doll, and most other things I’ve done. If I combined the arts and crafts with performance on-camera, I might get a Hipster Mr. Rogers thing going on! 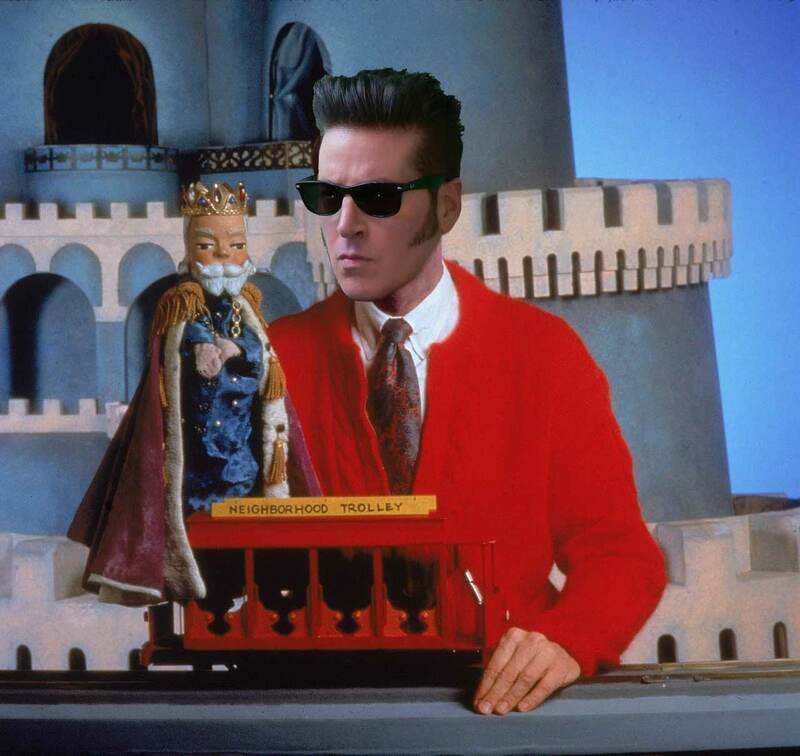 I could become a hipster Mr. Rogers with my own neighborhood! 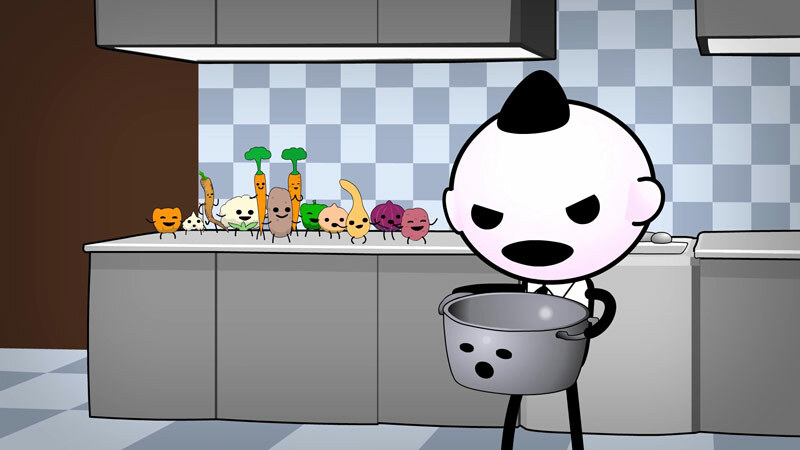 Meanwhile, let’s do a simple music video! Let me back up a bit. When I started work on “Too Much,” I thought I would make a quick live-action video for our anniversary (notice that my charming, beautiful, and remarkably supportive wife JJ Sparks has been a part of all my recent videos). I had a strong idea in mind: we should dance through a park, while people looked on, and some of those people would give us dirty looks. 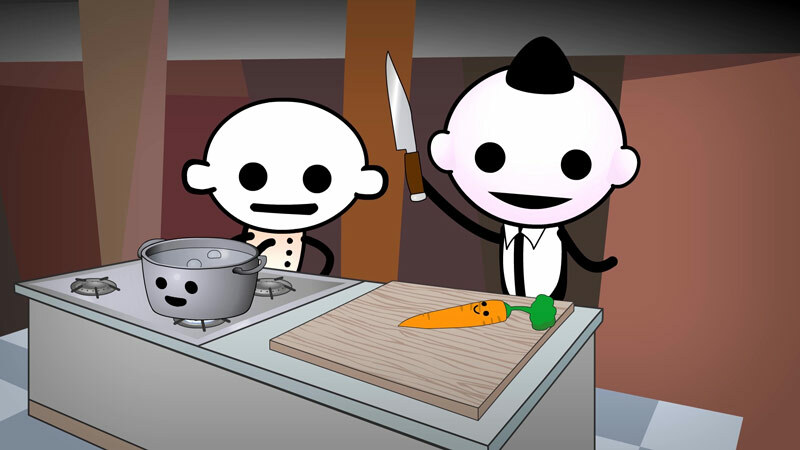 We started up the project by shooting ourselves (using a tripod with no camera operator) on location in Huntington Park and Club Deluxe in San Francisco. JJ Sparks preparing to shoot in Huntington Park, San Francisco. But I couldn’t work up the nerve to ask strangers to let us shoot them giving us dirty looks and disapproving head shakes. This might not seem important, but this is why I eventually wanted to use puppets. 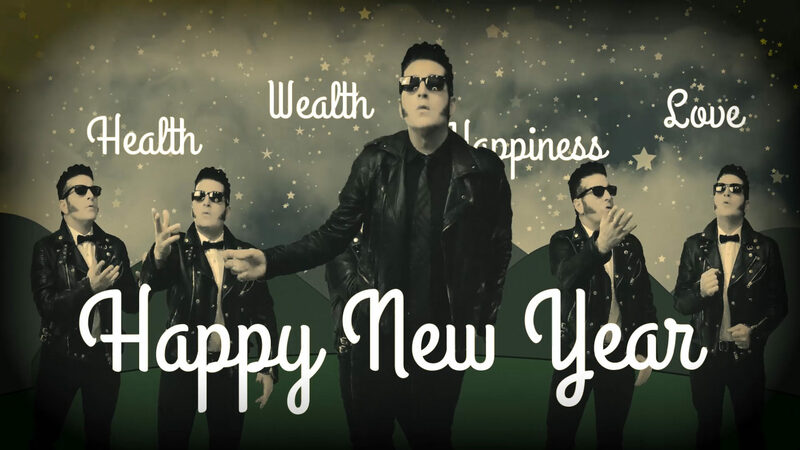 We also shot ourselves lip syncing to my song “Too Much ” against a studio green screen. 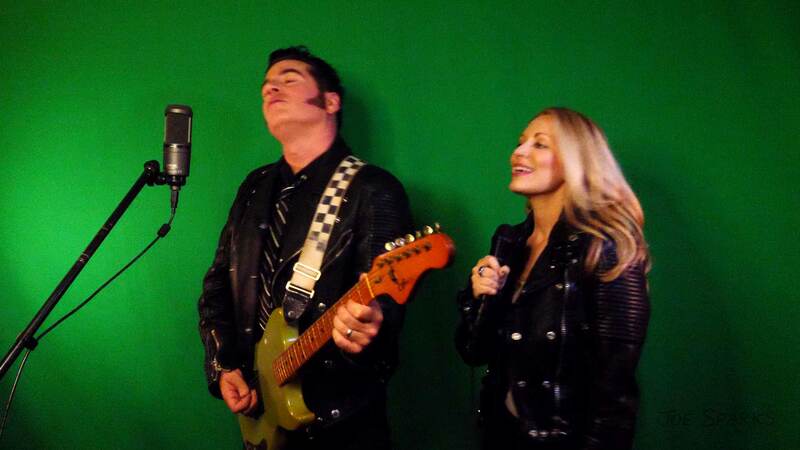 Joe and JJ Sparks performing in front of a green screen. We also shot at Club Deluxe in the Upper Haight. There, we got some dirty looks! Finally got some “gross-out” looks at Club Deluxe! I thought this material would be more than enough video to get me through a 2 minute song. But when I started editing it together, I wasn’t happy with the end result. There’s wasn’t enough interesting material to fill the whole song. I wanted more reactions, of people being “grossed out.” I could only pull about a worthwhile minute out of our shots. I really wanted this video to be decent. This was my first public thing in forever. 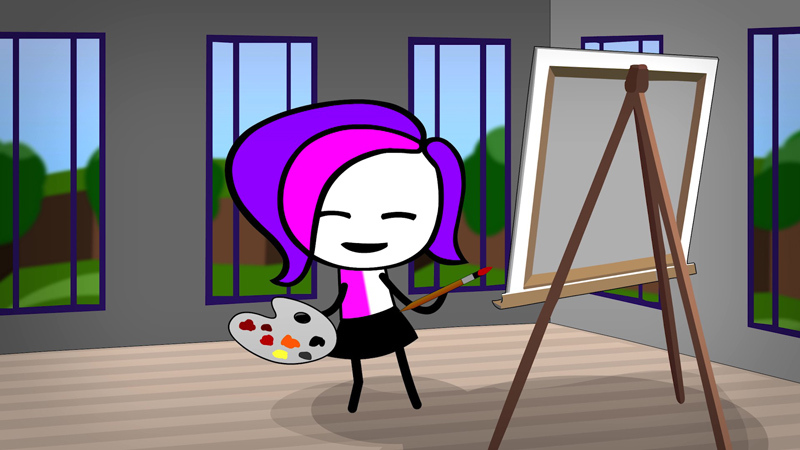 Maybe I could do some animation? 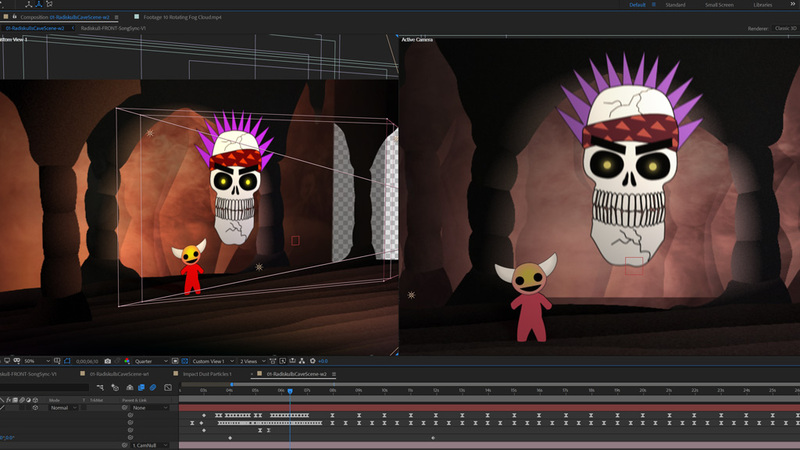 I imagined puppets on video would be faster than straight-up animation. I was wrong. Not the way I was doing it anyway. I’d never attempted anything quite like this before. I tried clay, paper, and wire..
One of many blind alleys I traveled, only to find I was attempting something beyond my skill level. 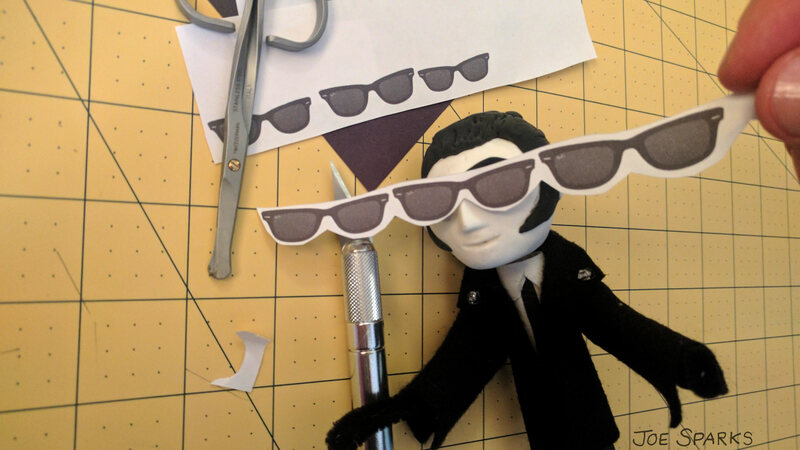 In the end, I animated a photo on top of my puppet video, because it was too hard for me to make actual sunglasses at this size (I tried). Who cares anyway? 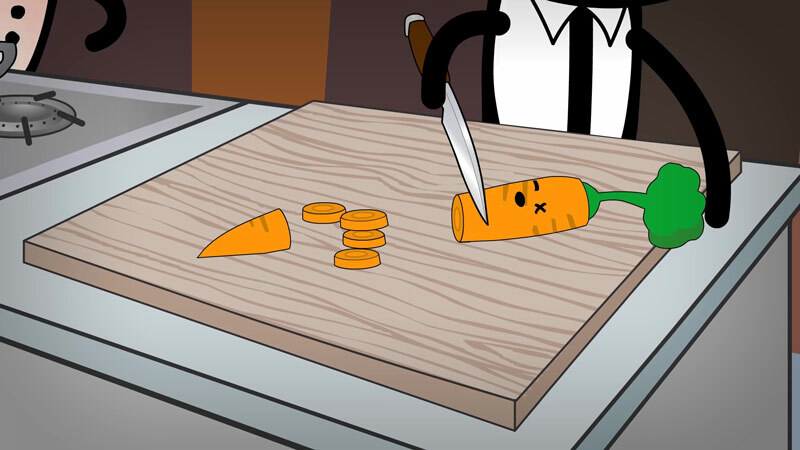 I’ll just use my much-better skills in computer animation to make up it. 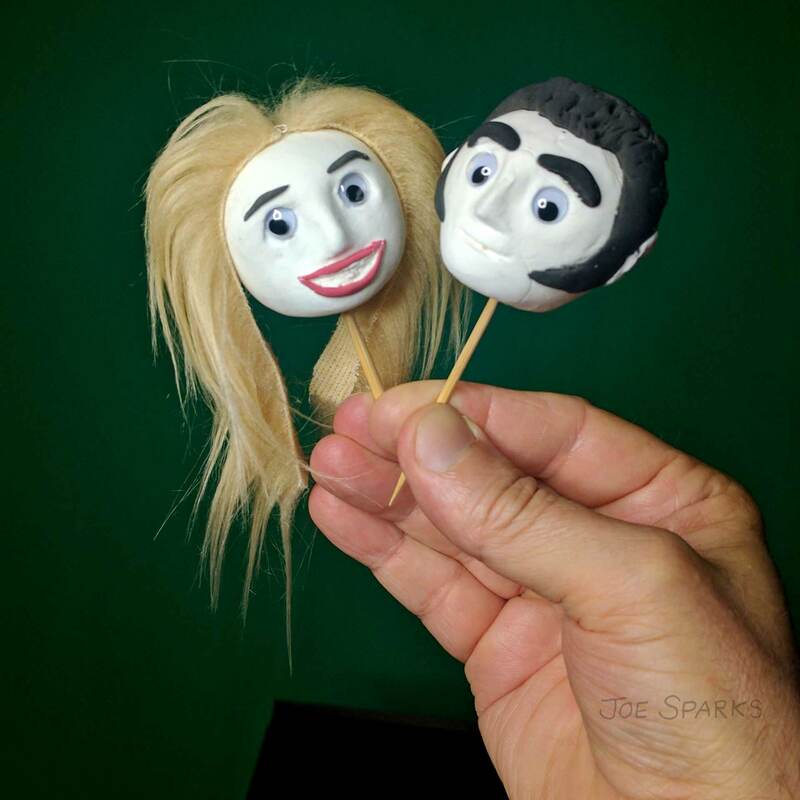 To develop my modeling skills, I began to watch crafting videos on YouTube, and l learned more about paper clays from Japan, armature wire, and artistic techniques. I started visiting art supplies stores (including Blick’s, Mendel’s on Haight Street, dollar stores in the Mission, and costume shops) in search of new materials. 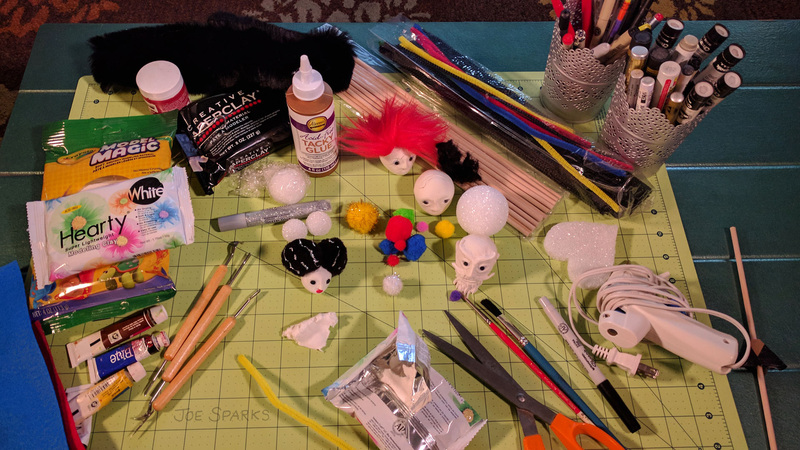 I bought fabric samples, synthetic fur, pipe cleaners, poms, glue sticks for my glue gun. Assorted crafting supplies on my Singer plastic cutting board. I started working on clay puppet heads. I started with small styrofoam balls, and applied a coating of “Hearty” Japanese paper clay, and sculpted into tiny simple faces. I attached plastic googly eyes. 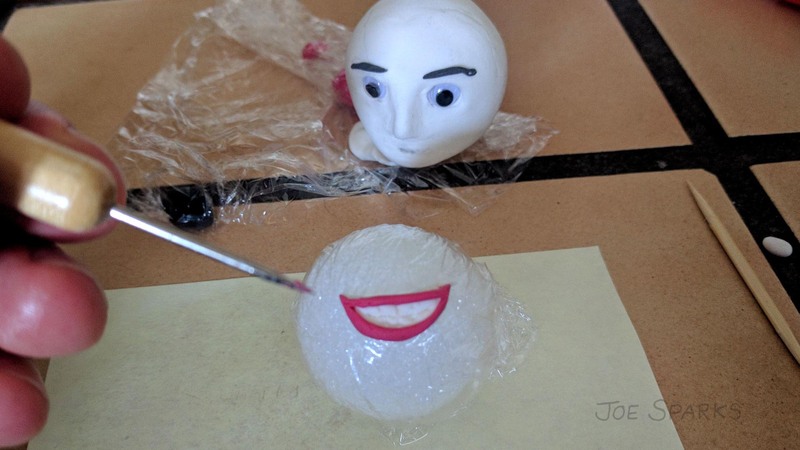 Working on a tiny clay mouth for JJ’s puppet. 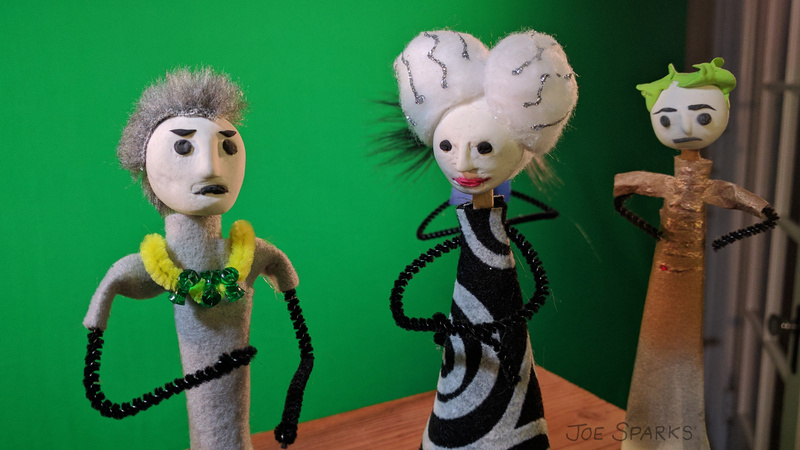 Joe and JJ puppets with clothing made from pipe cleaners, felt, faux fur, and paper cloth. 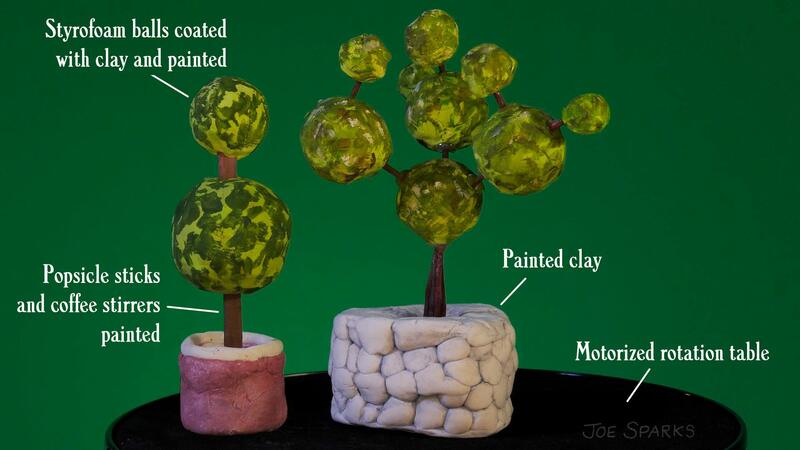 I wanted to build a clay-model park for my puppets to act in. I started in, making plants and walls. After a day or two of working on this, I realized it was taking too much time to make the park I wanted. I estimated at least 3 weeks and a ton of clay to pull it off. Hmm. After some long thoughts I decided to build this park on the computer. 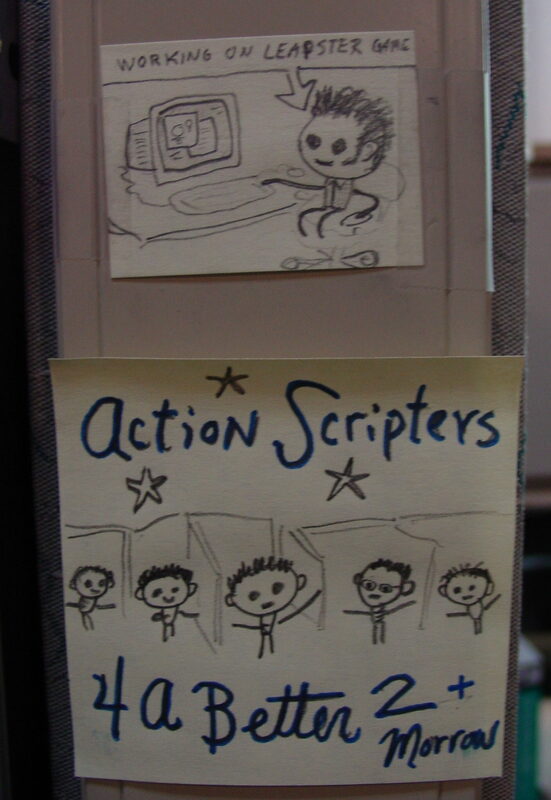 I was a world-class 3D modeler early in my career, but I was out of practice. 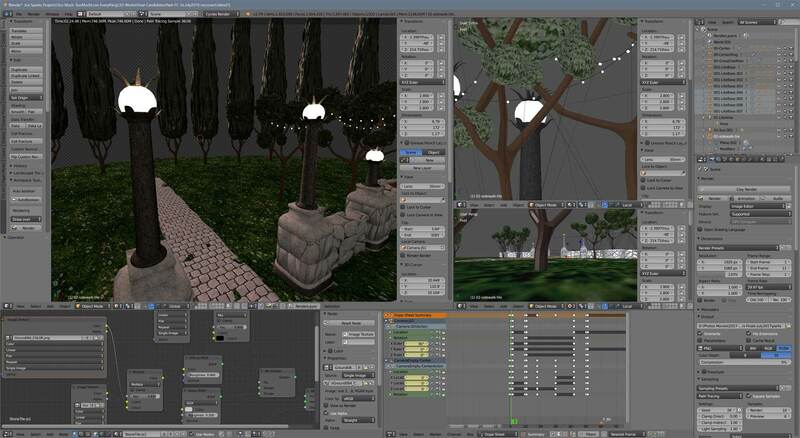 I started up again with Blender 3D, an amazing open-source 3D animation, rendering and modeling program. 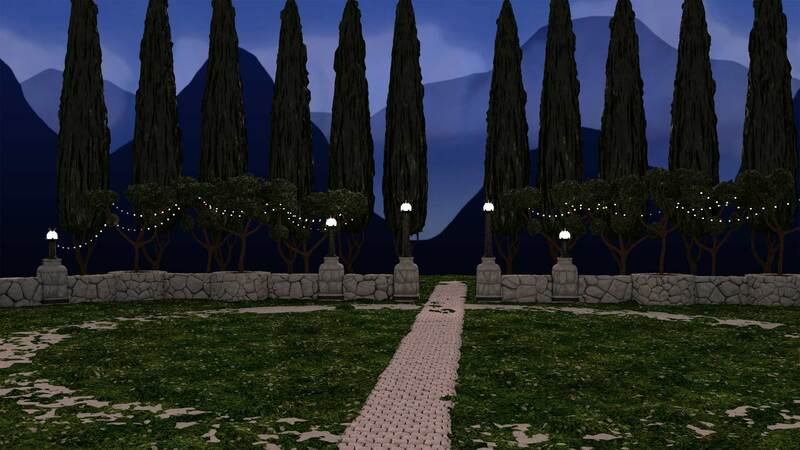 I really wanted some stone walls and lamps along these lines. Rebuilding my clay models in Blender 3D. 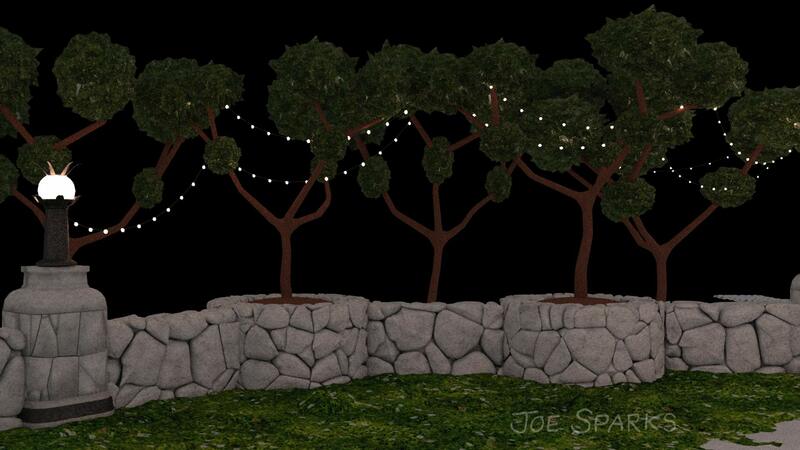 I love strings of electric lights in trees, so I added some. I tried to emulate my clay modeling style into the digital 3D world. I couldn’t really do it, but it does have a toy-like feel to it. 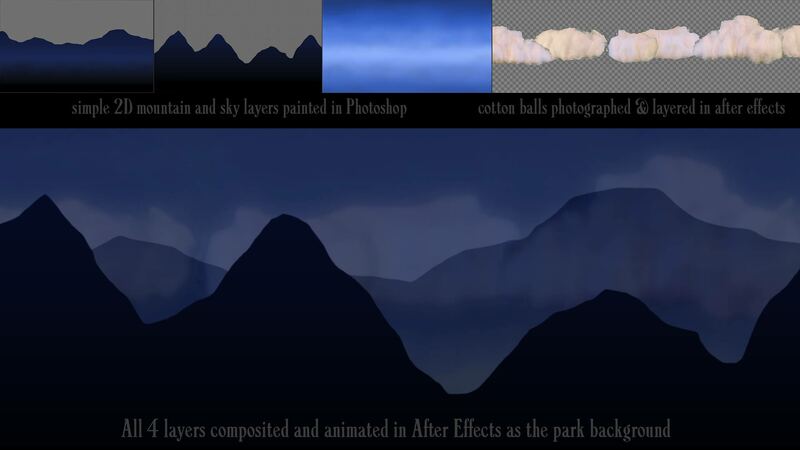 Putting the 2D sky animation together with the 3D park models. Not exactly what I was looking for, but I was pretty happy with this! I wanted reaction shots in the park, remember? 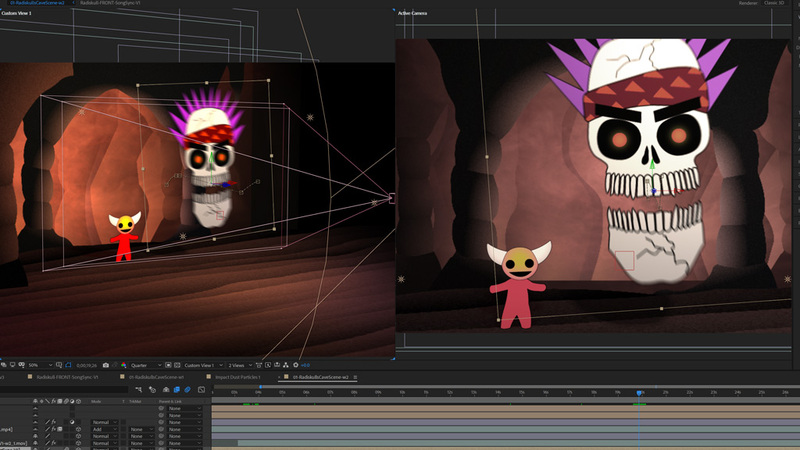 Now I had to get my puppet animation into this 3D world. 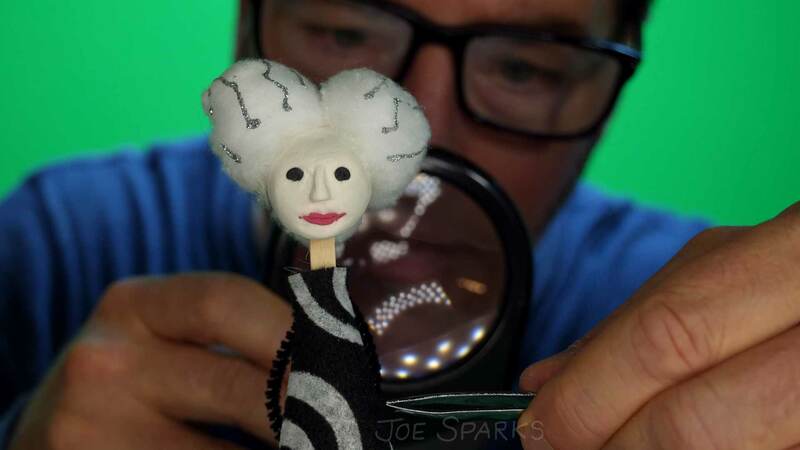 These are more fragile dolls than real puppets. 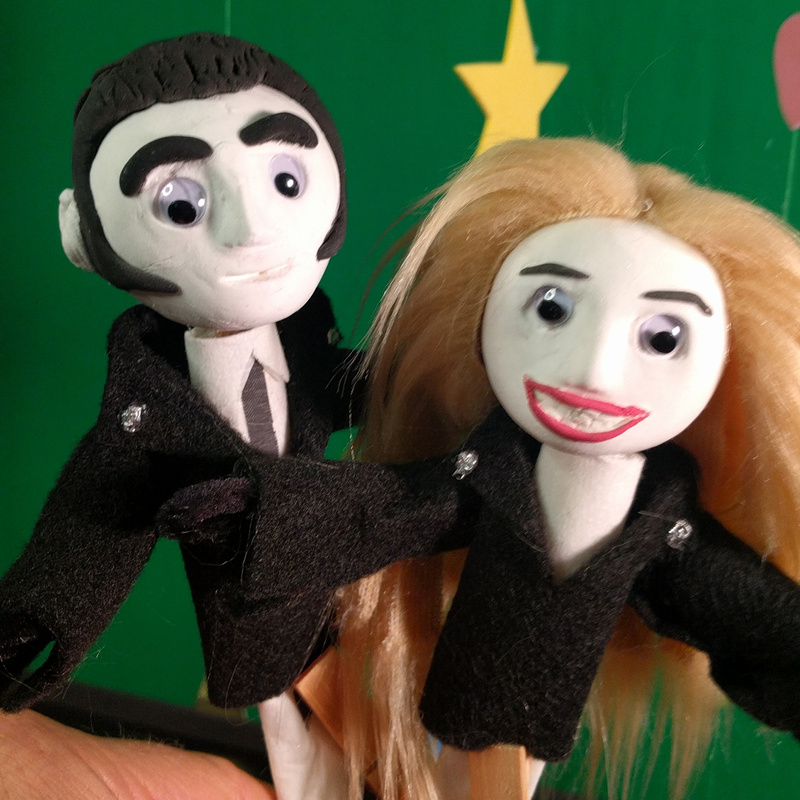 You can’t even really pose them, express them, or do any substantial stop-motion with them. All I could do was shake them, rotate them, maybe bend a pipe-cleaner arm. 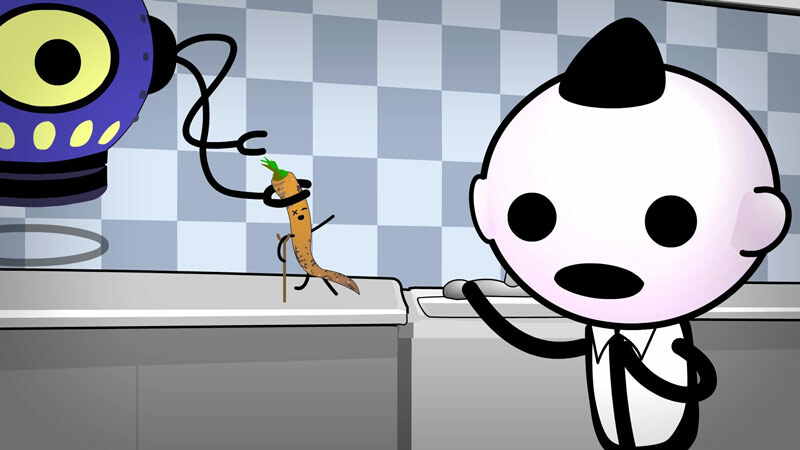 Any extra animation would be done after the fact, in software, on top of my video material. I shot the puppets against a green screen with my new camera, the Panasonic GH5. I took my camera shots into After Effects and animated eye blinks, head turns, painting small expressions, and compositing it all together. 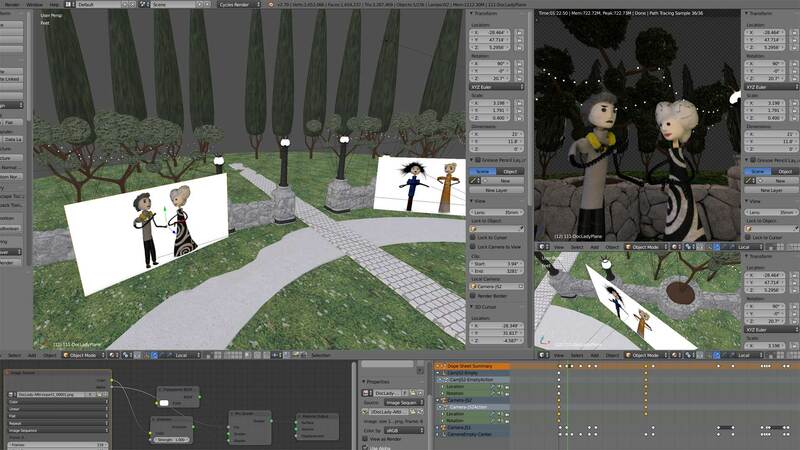 I exported these animations as PNG sequences and brought into Blender to anchor inside of the 3D world. 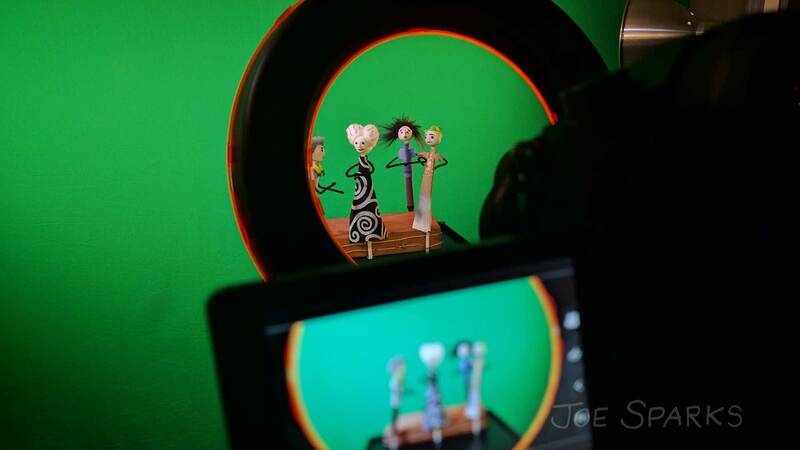 I was able to put my green-screened puppets into the 3D world, and fly cameras through it. Please have a look at my first attempt at using these techniques to make a Music video. 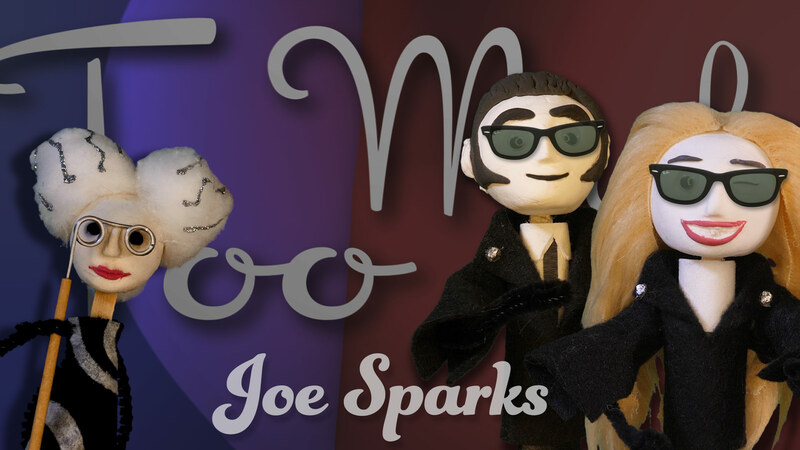 It is titled “Too Much” and hosted at my Joe Sparks channel on YouTube. 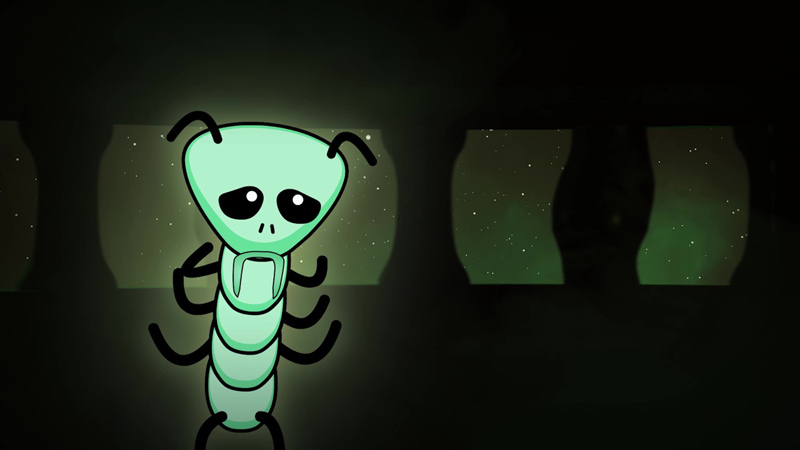 There’s much more to this story, the music, and other materials used. I will follow up with more posts about the works as I go. 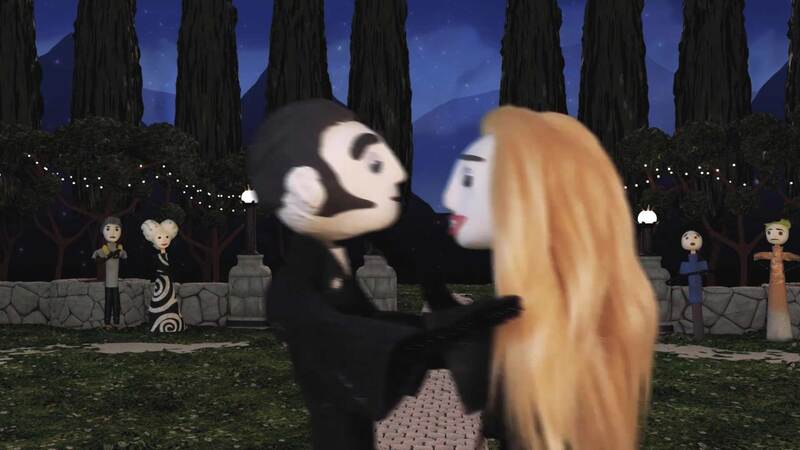 I hope you enjoy the music video! If you do, I appreciate your like, subscribes, and friendly comments over on YouTube. Really helps us to get discovered over there. I plan to get much better at this over time. Please subscribe if you want to see more as I go! 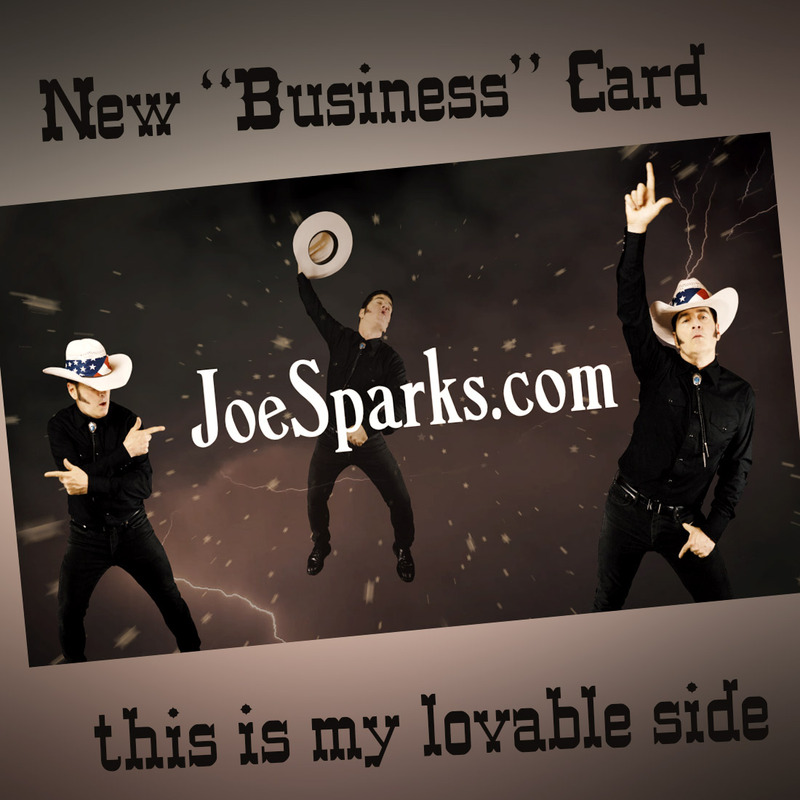 Welcome to the new JoeSparks.com! I’m an indie creative publisher again! I made this new wordpress site by myself over the past couple months or so (using the “Music Lite” theme). I haven’t made a site in a VERY long time, so this was a learning experience all over again. 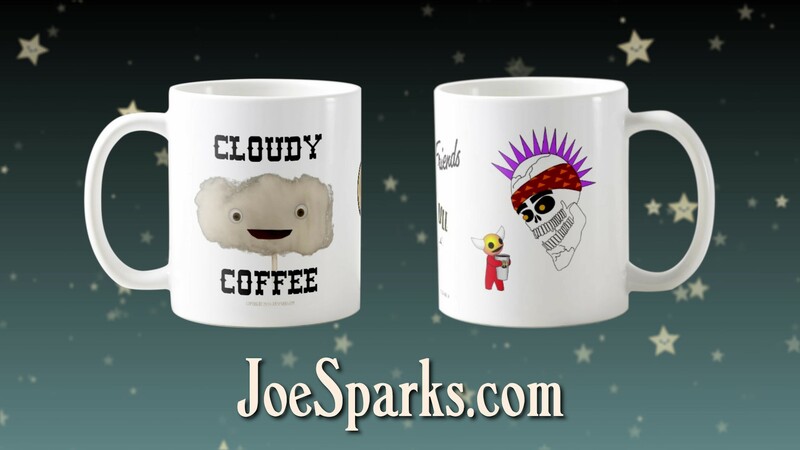 Making a website is much easier today (compared to when I started joesparks.com 21 years ago), but it still it can be very complicated! Tying together Social Media, YouTube, Tagging, Analytics, Advertising, and the endless extra options is a new challenge. PROFESSIONAL My stories are of interest to other creative professionals (and some fans from way back when). Telling my stories keeps me closer to the creative tools business & marketing (Ex-Macromedia Evangelist here!). 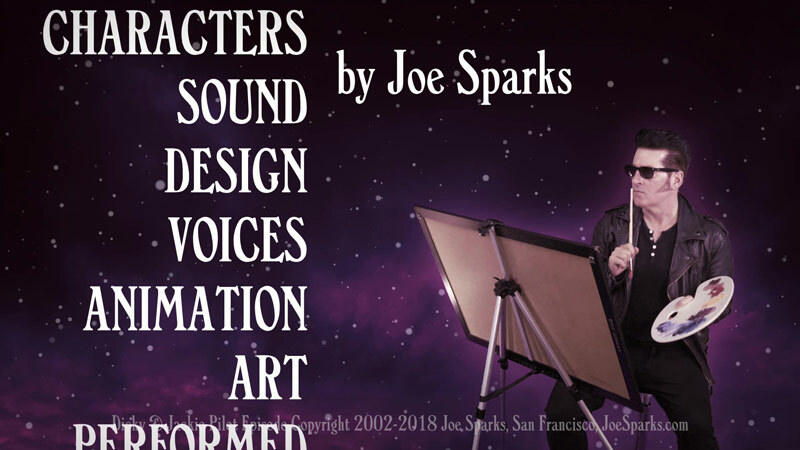 More importantly: As an artist with a long historical background, I need to do a better job as archivist for the future Joe Sparks Museum. PERSONAL I have two sons who are growing into young men. I want them to have better records of their Dad’s crazy history. They may have heard most of these stories before (when we were younger), but I think I can tell them better today (with a pinch more wisdom). I’m kicking of this new site with a few pages about my past and what lead me to go independent once again. I repeat myself a few times as I talk about my origin stories, and I hope you can forgive that. If it seems like too much info, try to remember I’m answering questions that have been asked many thousands of times over the years (and mostly ignored for more than a decade). Who are you? I’m a slightly famous artist/engineer with some big hits along the way (wikipedia, NYT) . I used to make wildly popular and award-winning things like Radiskull & Devil Doll, Total Distortion, Spaceship Warlock, the “You Are Dead” song, and more. Then I started working for other companies and fell out of the public eye for more than a decade (except for the occasional interview ). What are you up to now? 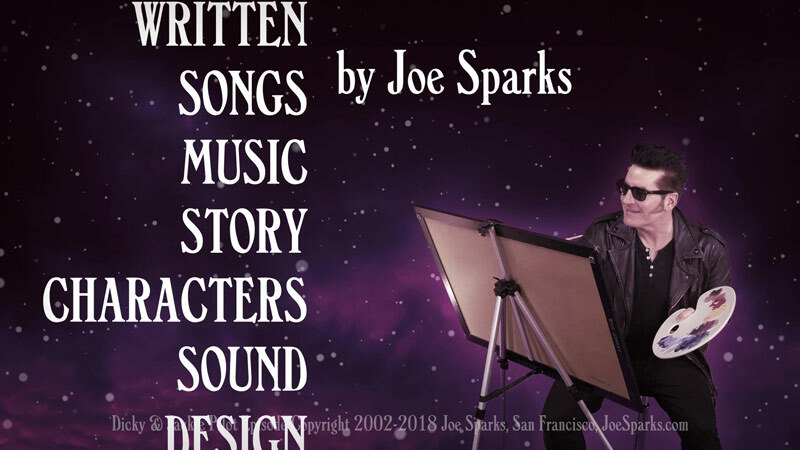 I am making music, video, characters, and animation and putting that together as “music video stories.” I’m adding arts and crafts into the mix, combining live action and puppetry on video, composited with 2D & 3D animation. Why so long to update this site? Making my own stuff was no longer my business. 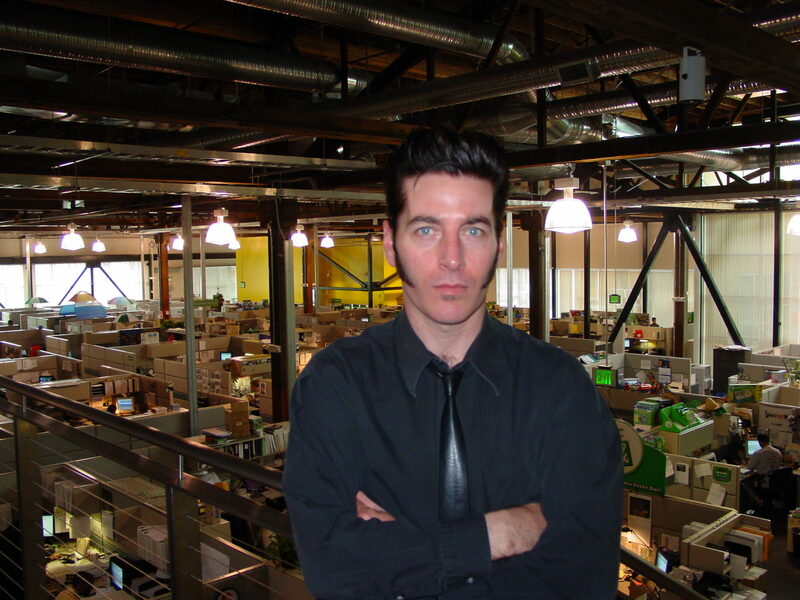 I was out there working at various companies, including an 8-year stint at Google (longest I’ve ever stayed anywhere). I wrote a country-western love song to After Effects, and then I made this music video for it.. in After Effects, of course. 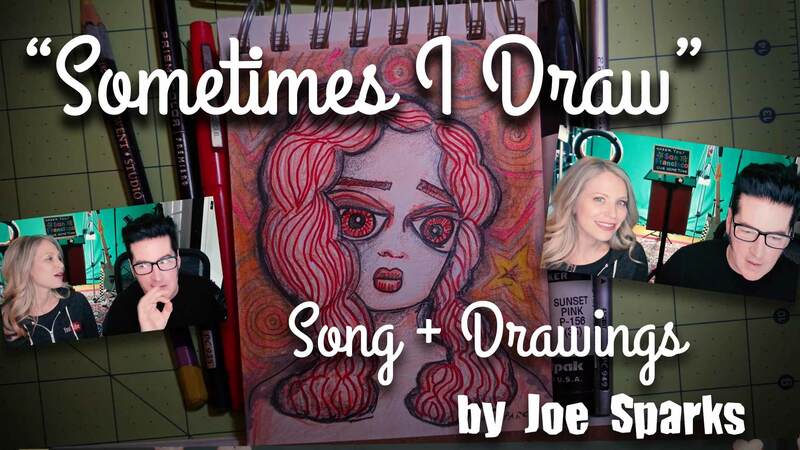 I made a song about DRAWING and made this music video for it featuring drawings old and new. 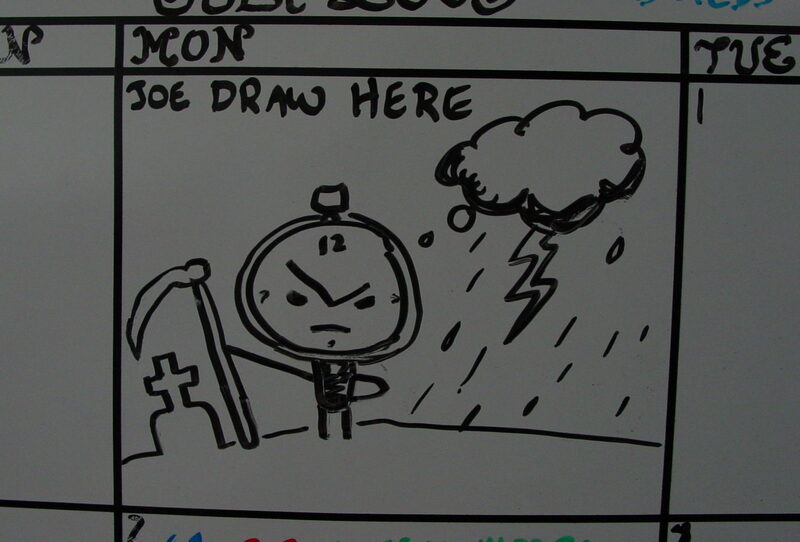 I also show some old storyboard sketches and the end-result animation I made based on those drawings (including some original Radiskull & Devil Doll art). May be of interest to artists who want to make videos using their static art scans. 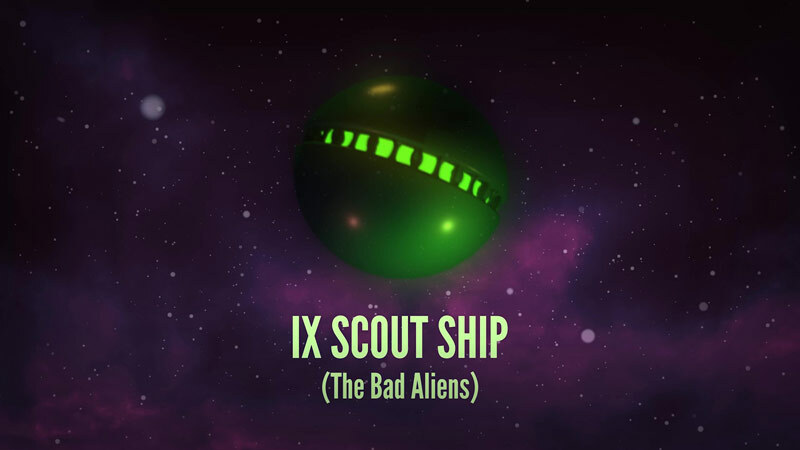 This is my first new Radiskull music in a very long time (it’s not bad, a very old-school 80’s style rap). 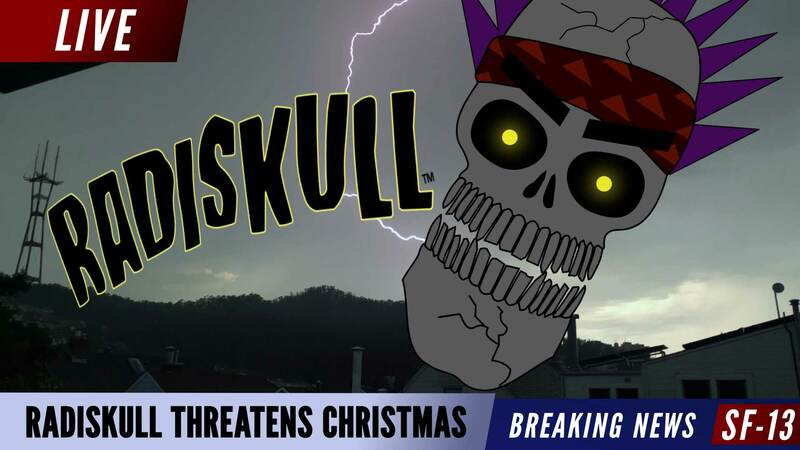 Radiskull returns to threaten everyone at Christmas. I had this Christmas song idea for Radiskull right before Christmas and I “wrapped it up” 2 days later on Christmas Eve 2017. 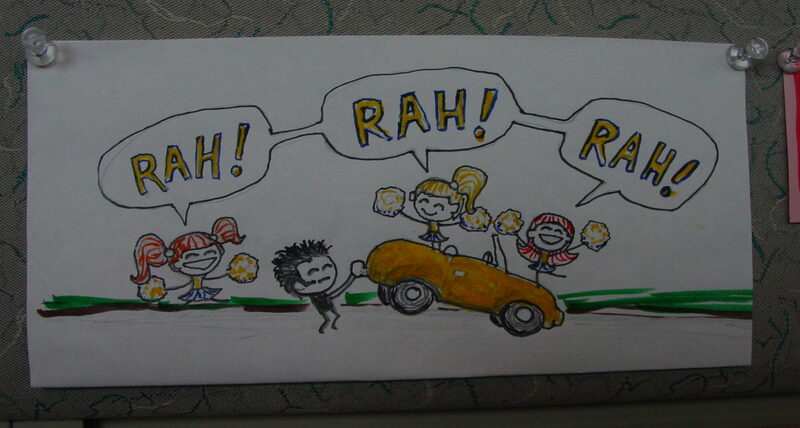 I wanted to animate it, but there was no time. I had to post in time for Christmas! 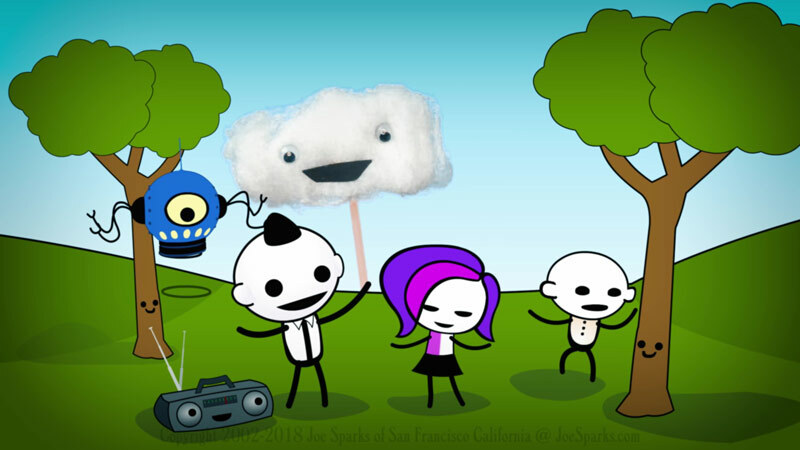 (so I made this lazy long loop of Radiskull in the sky outside my home as a backdrop). 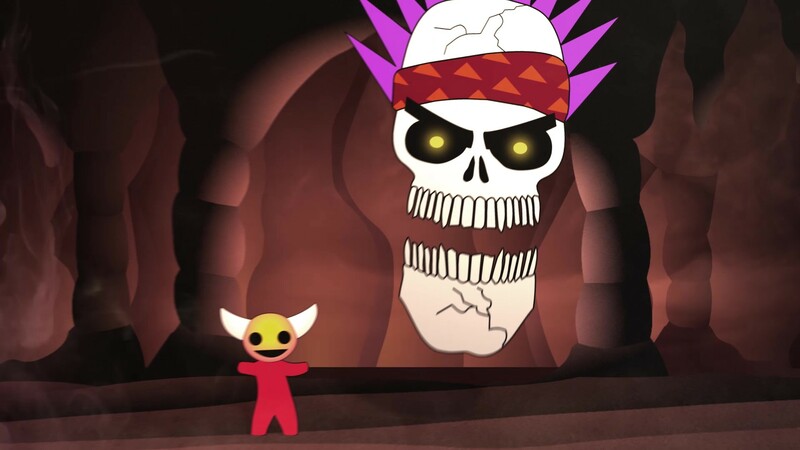 Want to see more Radiskull and Devil Doll? Subscribe to my channel on YouTube. 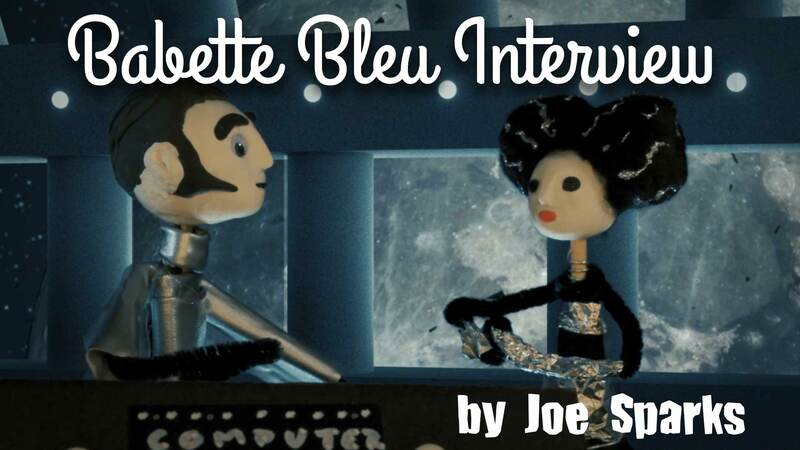 In December 2017 I released “Babette Bleu Interview” on YouTube. I have not worked this hard since Total Distortion. It is truly bizarre. It helps to think of this as an artsy short film by David Lynch. “Babette” is a future cult classic. 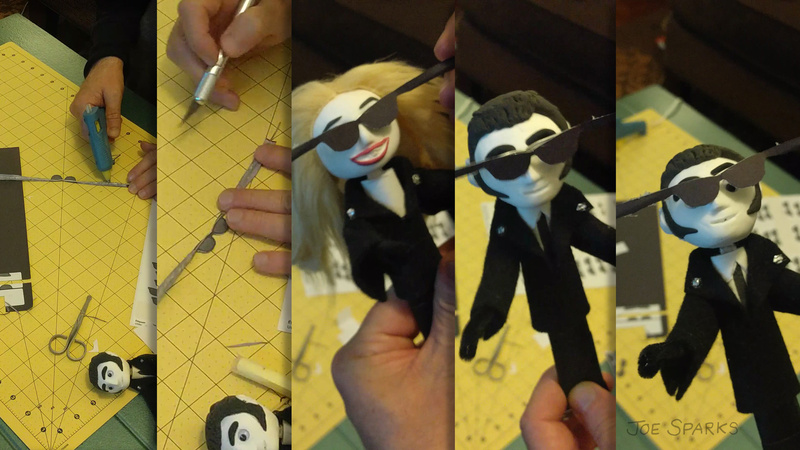 I do parodies of 50’s sci-fi films, 70’s TV cop shows, and modern-day “musical tributes” to cinema stars. 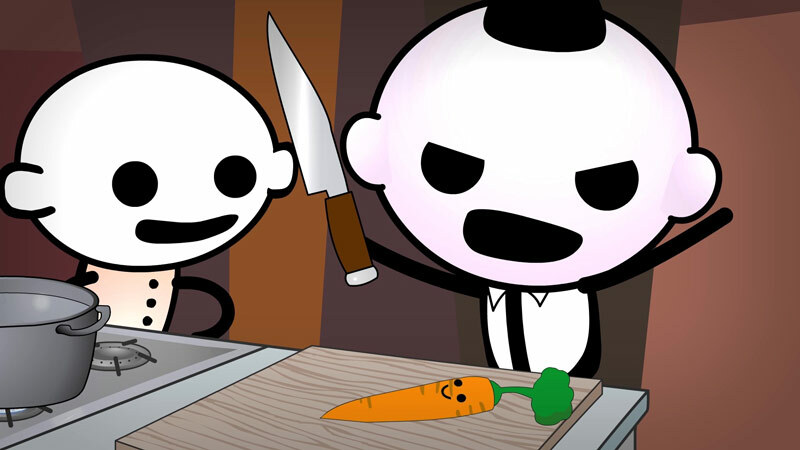 The whole frame work is a parody of “Inside the Actors Studio” with James Lipton. The host is a hero-worshipper, and Babette is a hipster-granny star like Betty White. In the end, it goes full-psycho and we learn Babette is not even human. 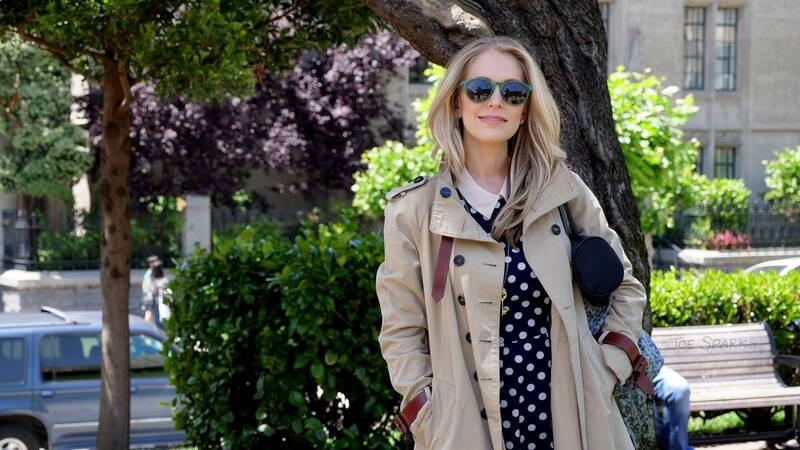 My 70’s cop show theme music: I nailed the era pretty well. 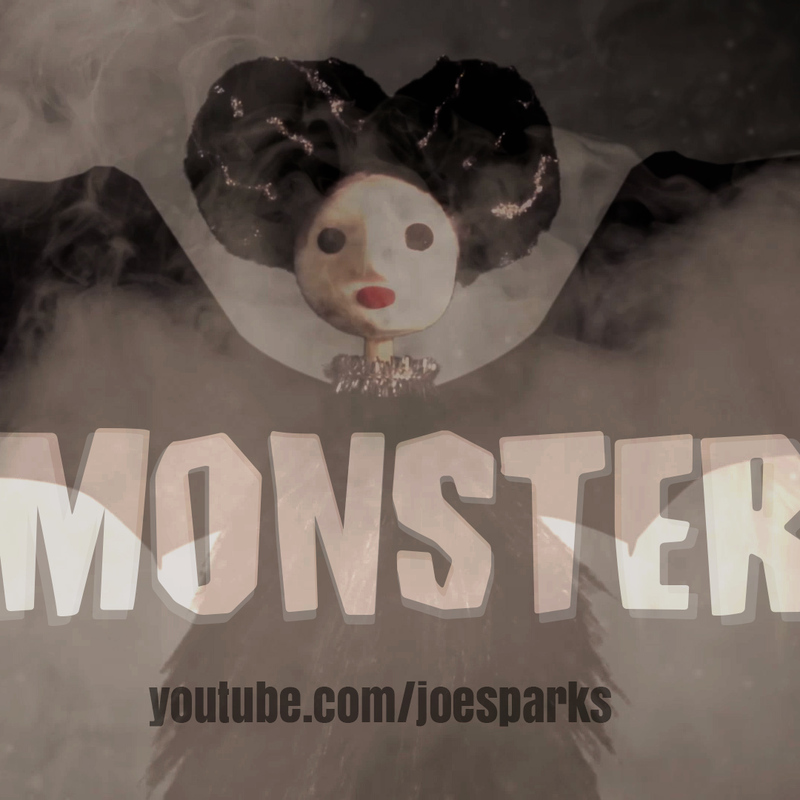 I’m strangely proud of my opening titles, music and animation/design. 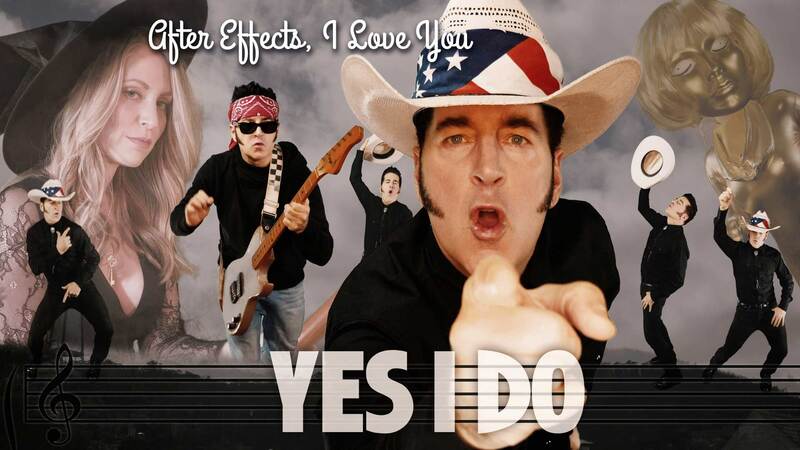 After the main show, I added a long chatty musical message to my “fans of yesteryear ” and the people who have written thousands of emails asking about my past works. 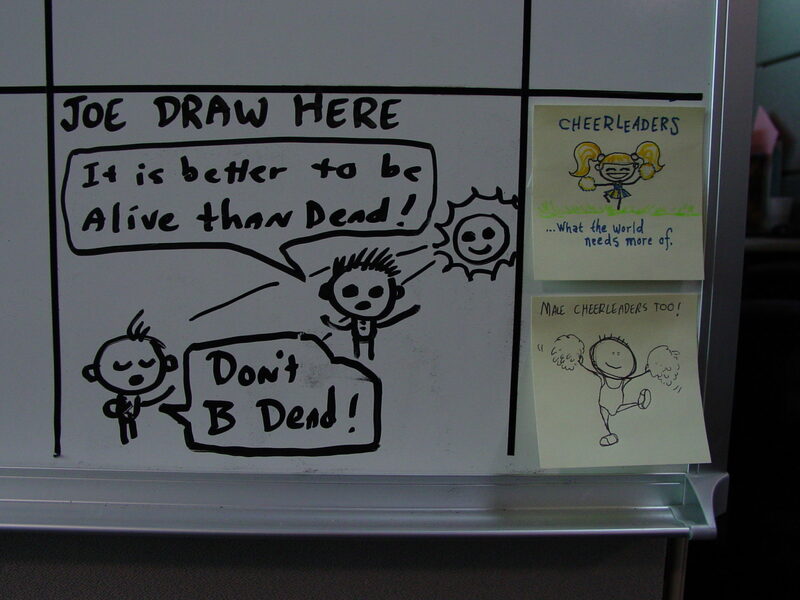 I also explain why I have returned to the creative life. If you wonder why I added that “bio” part, then you are not one of the thousands of people who have written questions about that stuff. 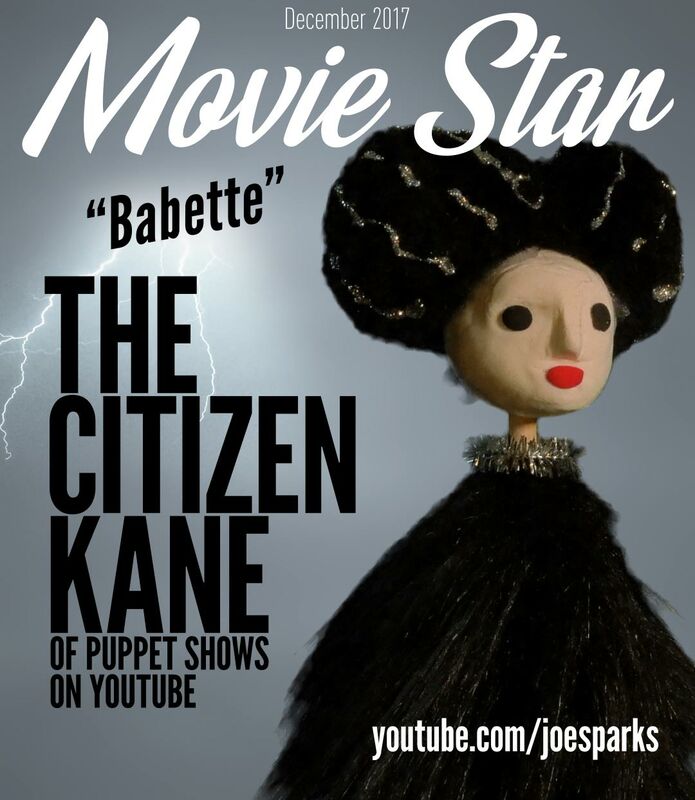 “The Citizen Kane (of puppet shows on YouTube) Launch-day promo poster for “Babette.” I think it is hilarious! Thanks for finding my website, and I hope you will enjoy my new work! As time goes on, I will post stories of work in progress. Please subscribe and stay in touch!